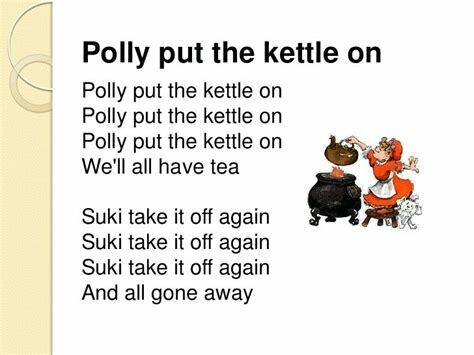 We are staring to sing our Christmas Show Songs, If you click on 2018 Christmas Songs the words will appear. 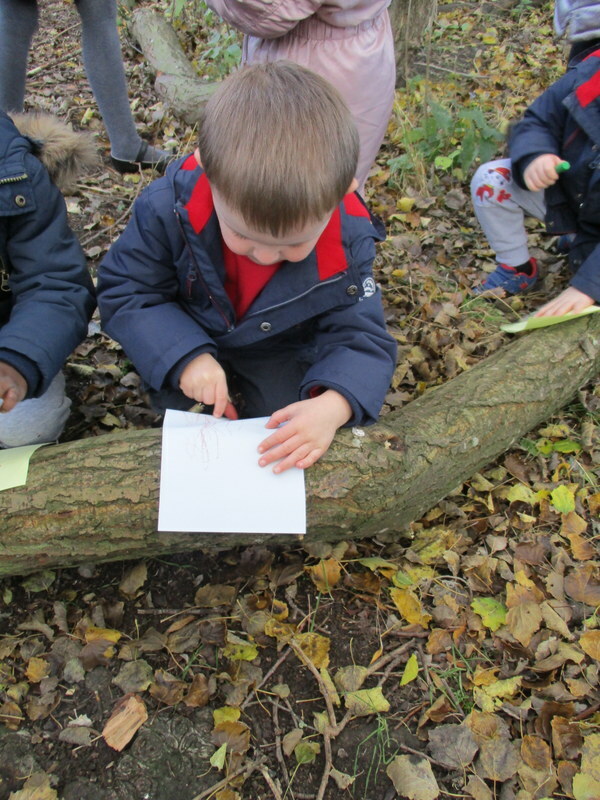 The words will also be available in the nursery to take away. 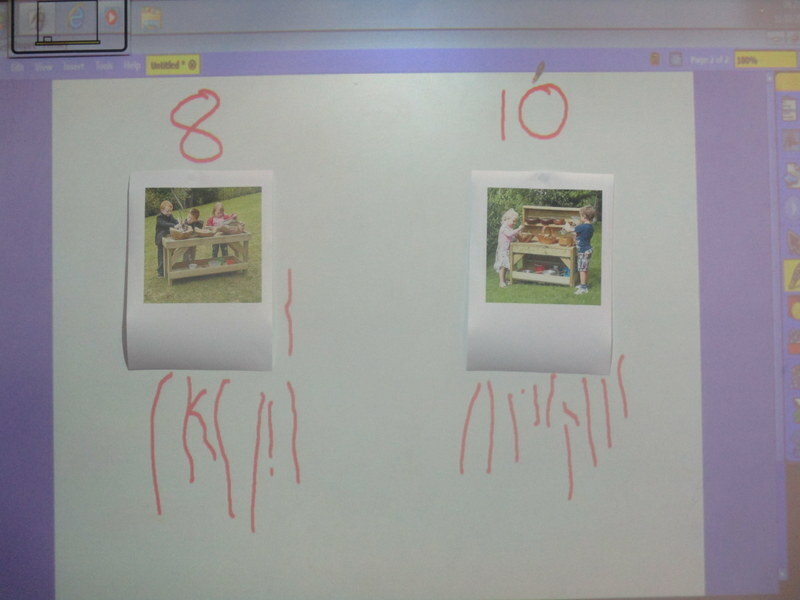 one they liked best. 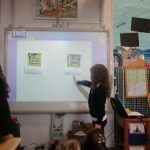 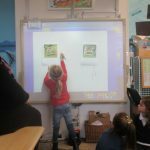 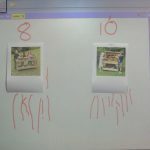 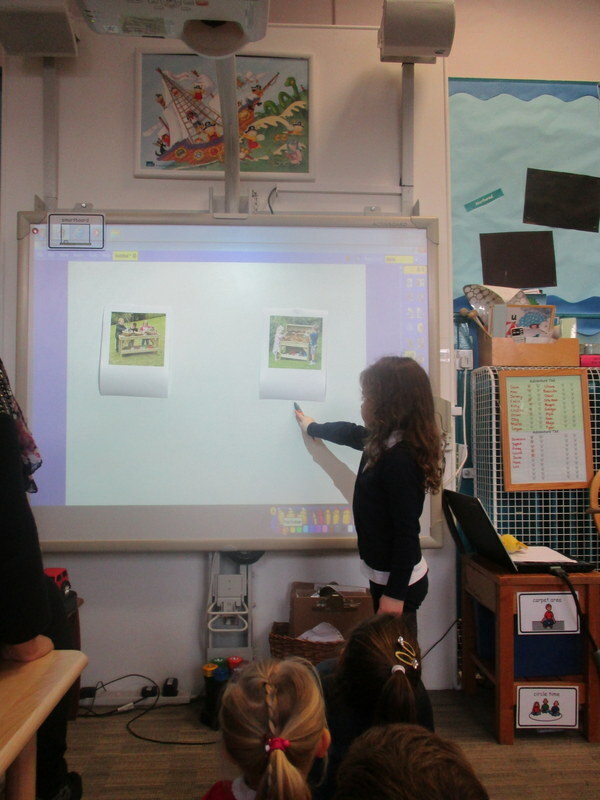 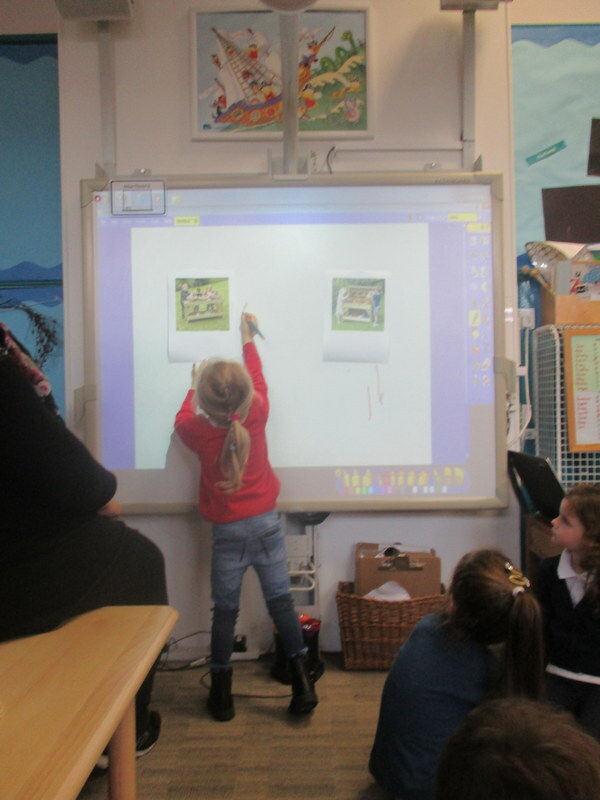 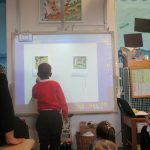 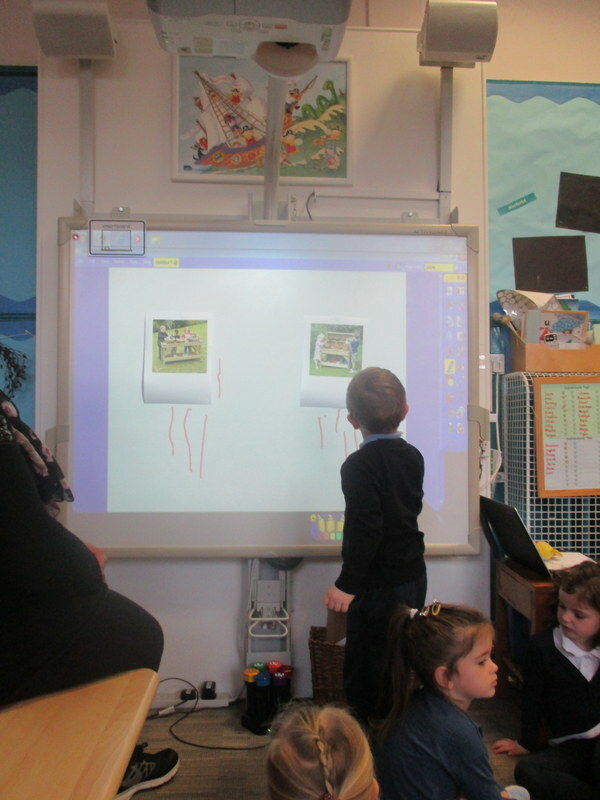 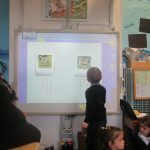 They used the interactive whiteboard to make a mark beside the one they liked. 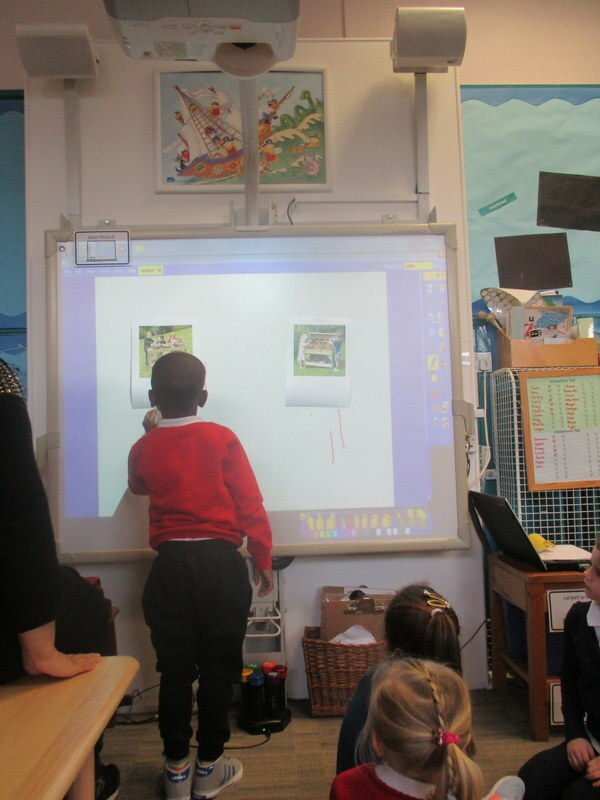 After taking a vote two boys went to the school office to tell Mrs Donohoe which one we would like to order. 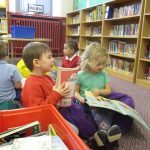 East Lothian Council have announced that all schools, nurseries and specialist schools will re-open tomorrow. 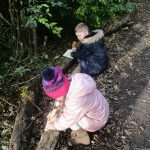 Read their update here. 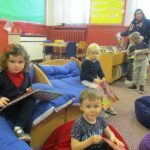 Please send your child in through the main front door, but not before 8.30am. 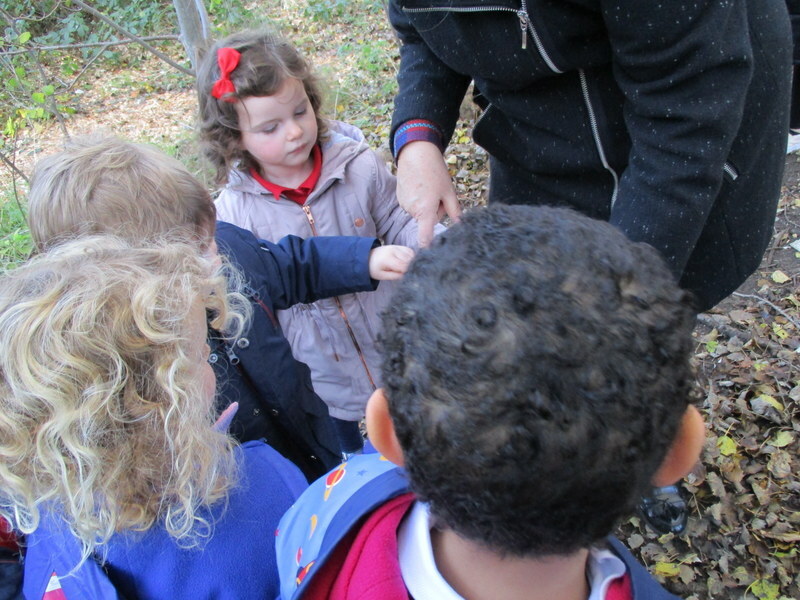 Children should come to school dressed warmly. 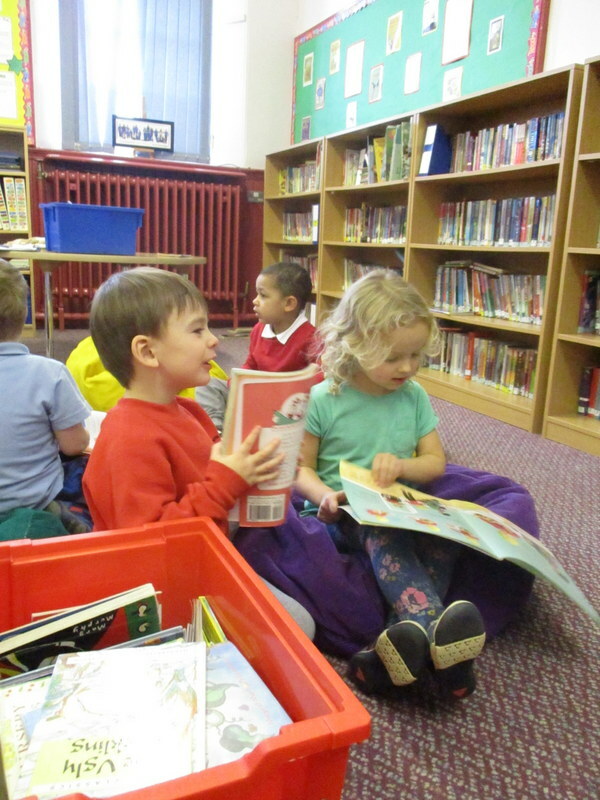 Looking forward to seeing you all back tomorrow! 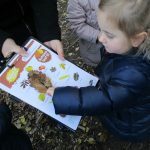 Here are some winter rhymes you can sing together and some craft ideas. 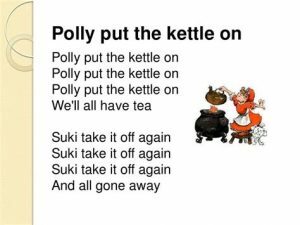 Sung to the tune of I’m a Little Teapot, I’m a Little Snowman is a short and sweet rhyme ideal to use with actions. 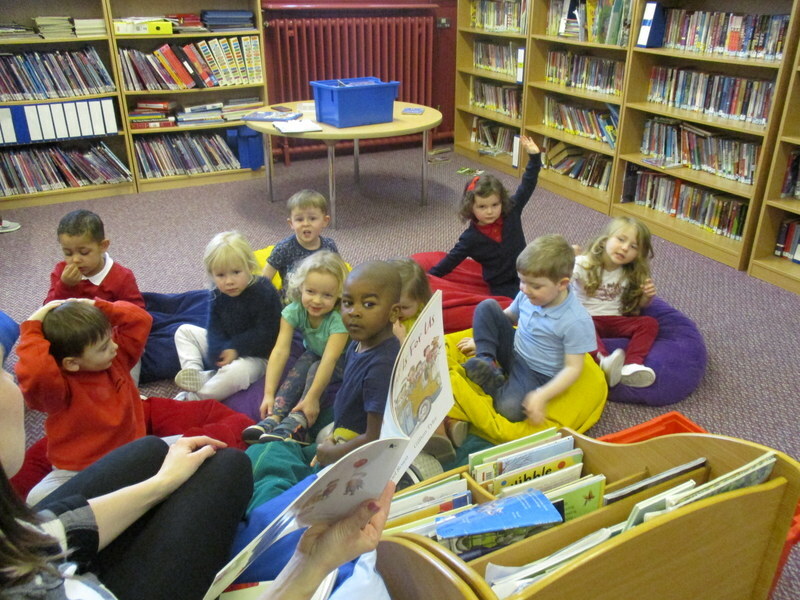 When I see the snowflakes, hear me shout! 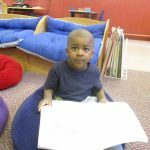 All you children, please come out! 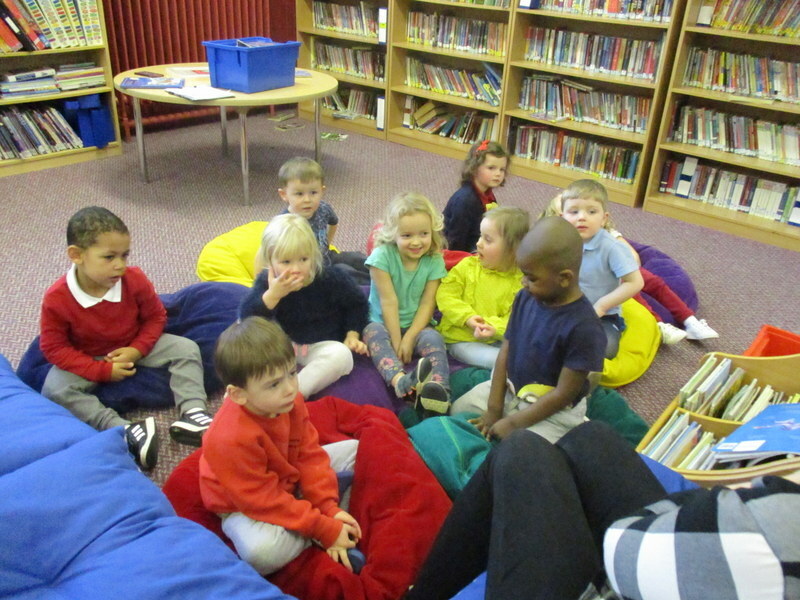 You could make snowmen in the snow and take a picture to bring and share with everyone at circle time. 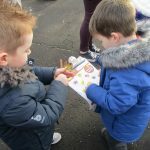 You could also well make one out of junk materials, drawing or painting and bring in to share with you friends and teachers. 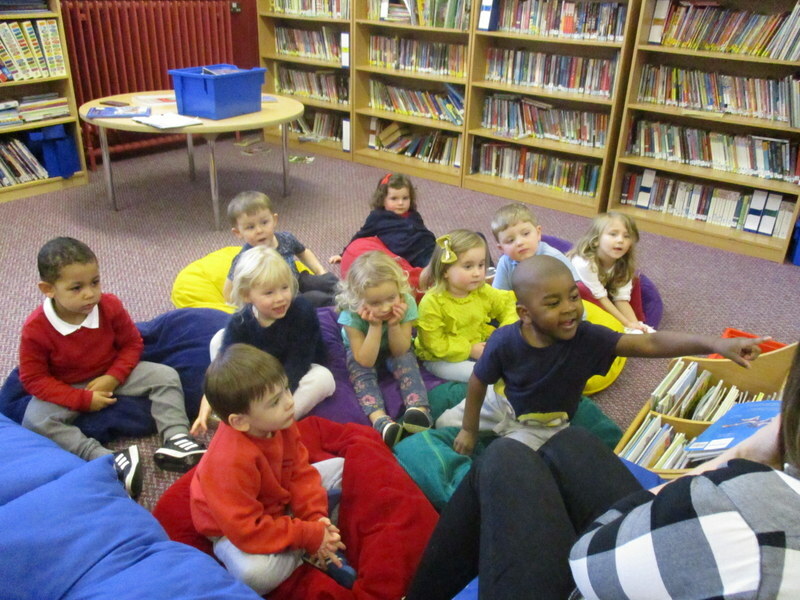 Another fun action rhyme is Snowflake snowflake which is sung to the tune of Teddy Bear Teddy Bear turn around. 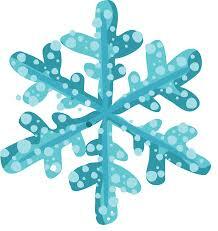 Snowflake, snowflake, touch the ground! 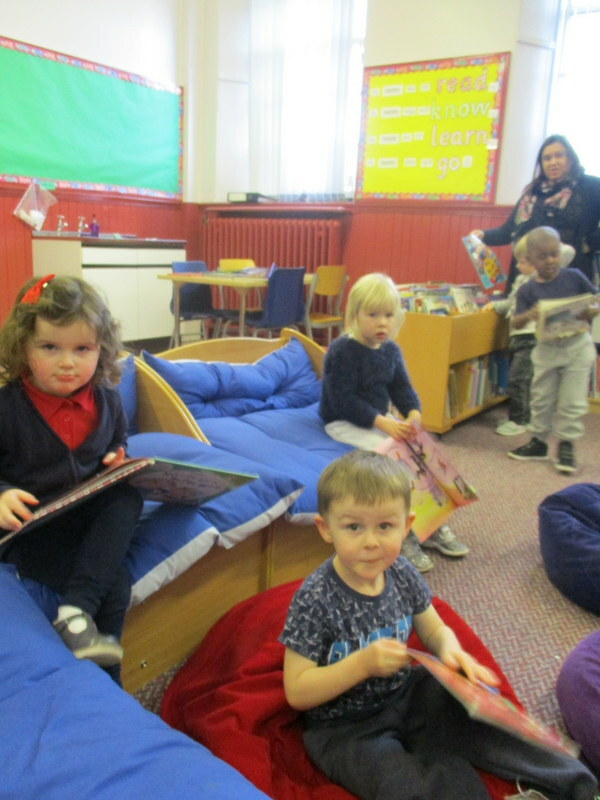 Snowflake, snowflake, soft and white! 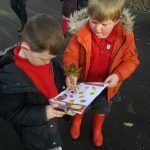 Snowflake, snowflake, in the air! 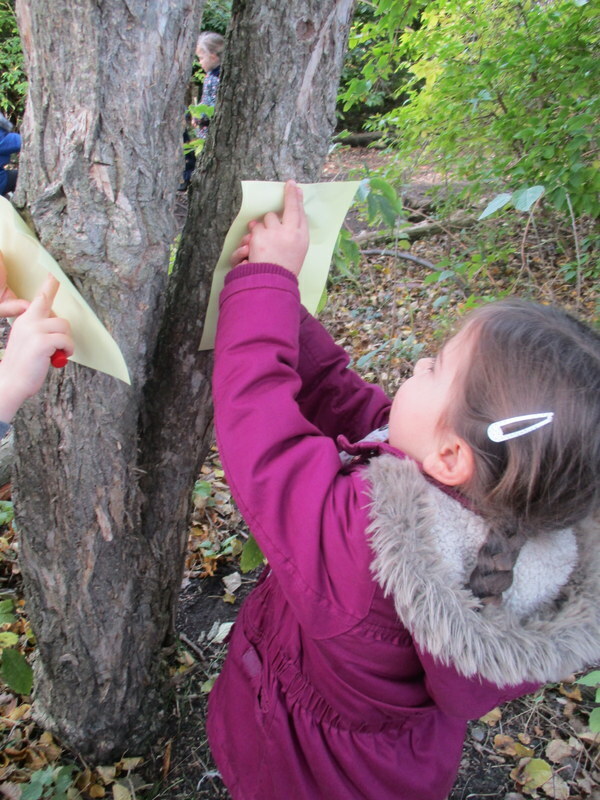 You could make Snowflakes with paper. 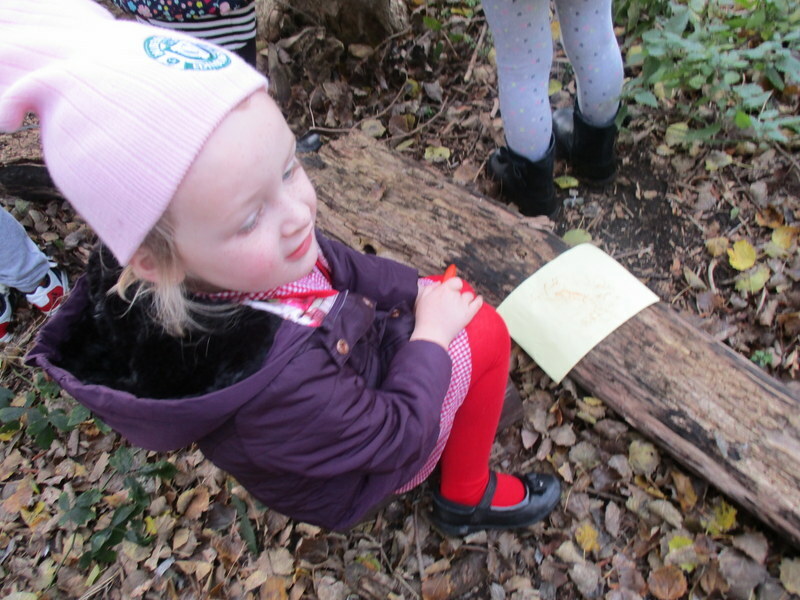 You could make snow pictures using cotton wool, twigs, buttons and material. 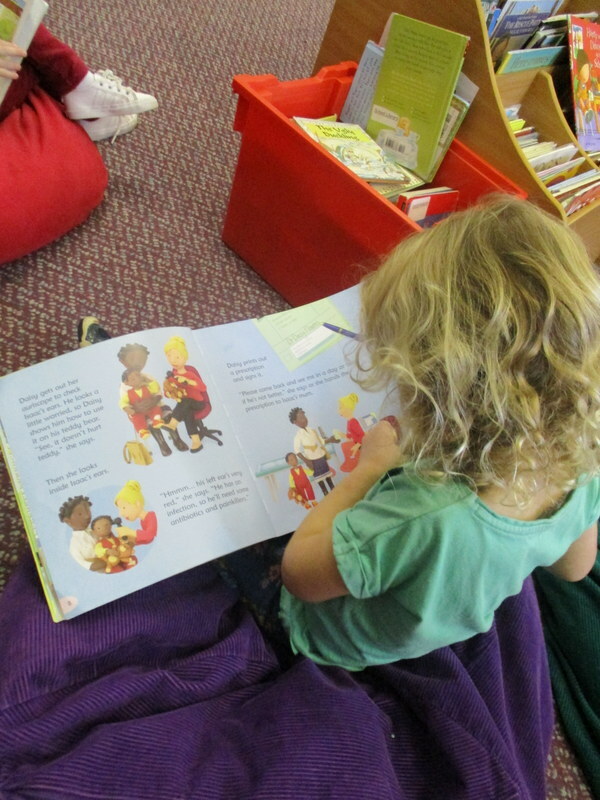 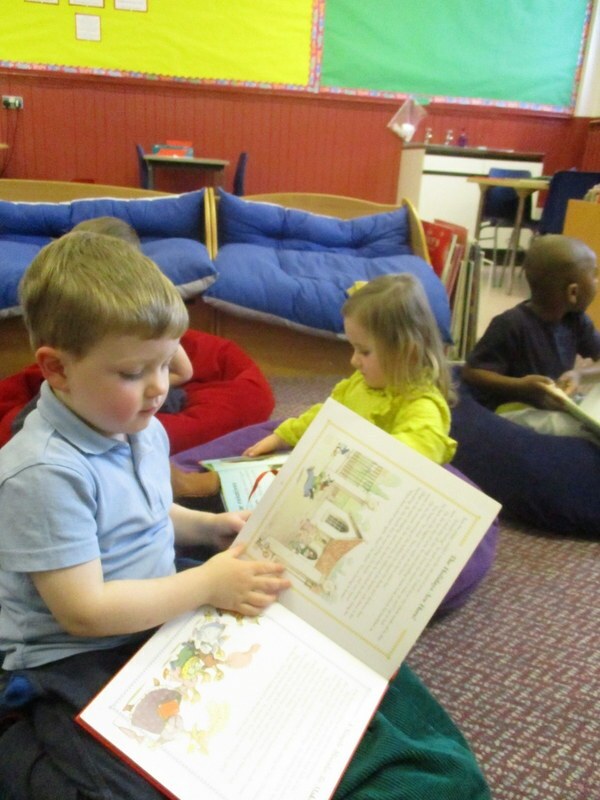 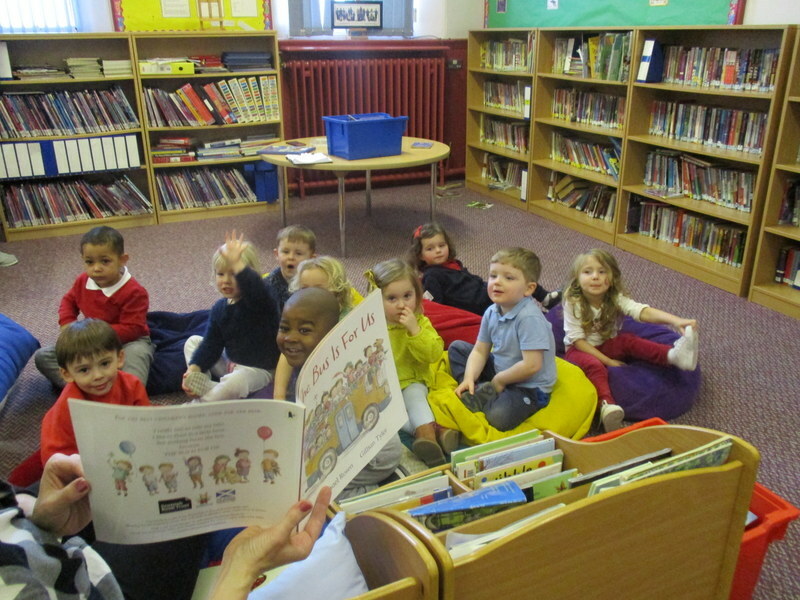 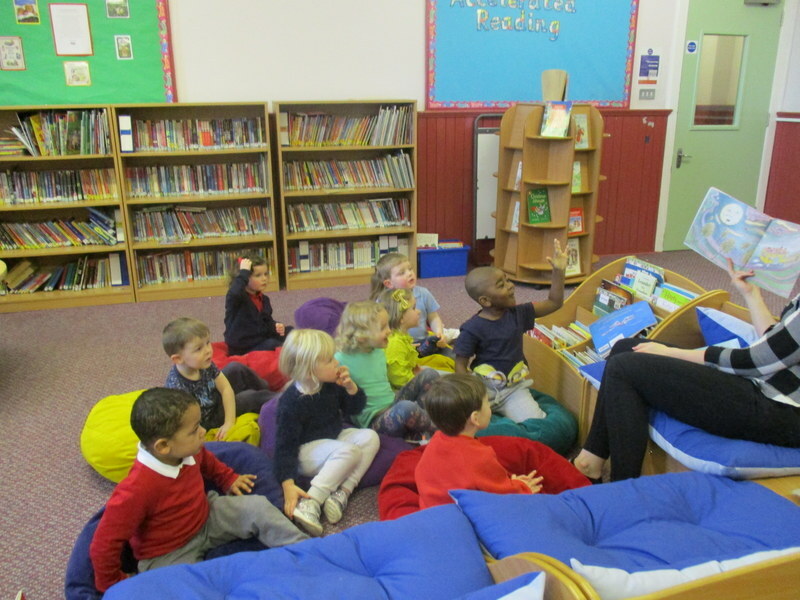 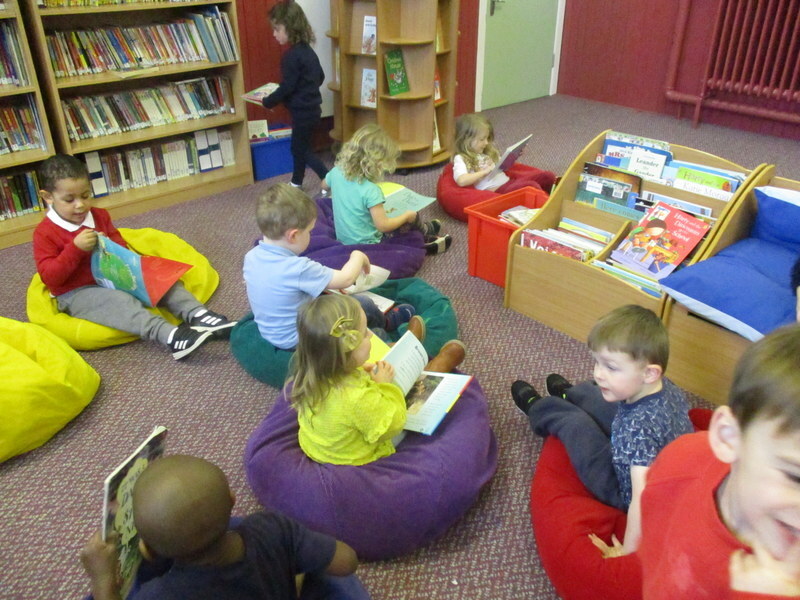 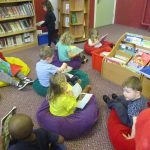 The afternoon children went to the school library on Tuesday. 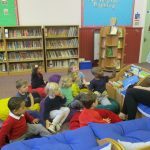 This was a lovely trip to talk about the Library and also reinforce how important it is to look at and read books. 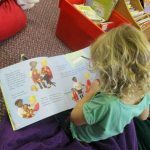 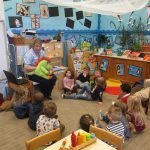 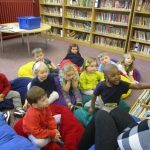 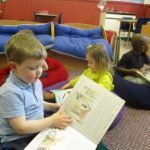 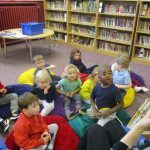 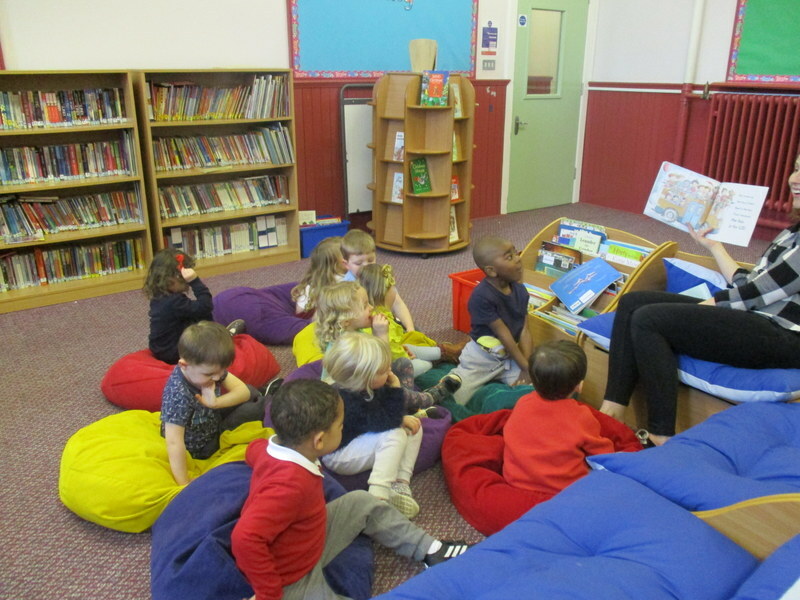 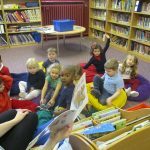 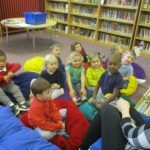 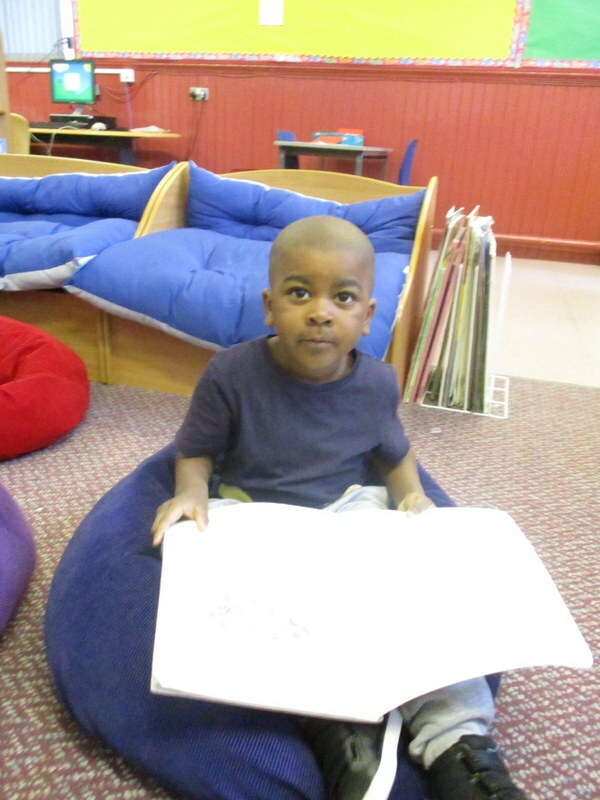 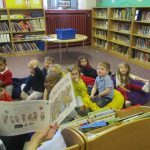 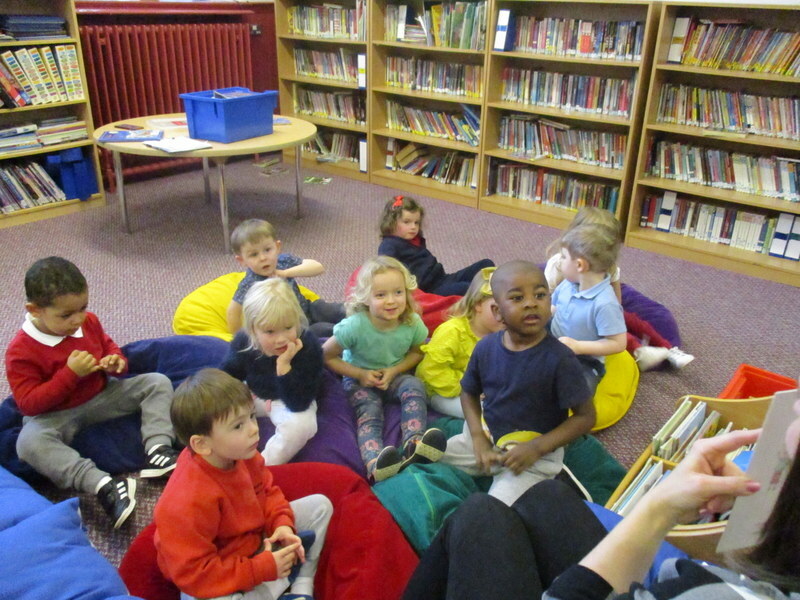 They got the chance to read some of the books and also got a story read to them from the Bookbug Explorer bag. 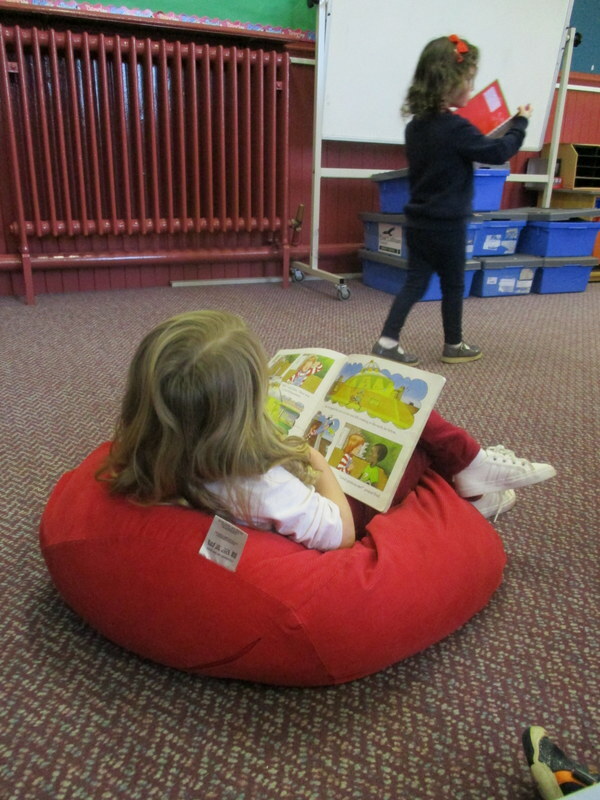 This is a bag that every 3 year old receives from the Scottish book trust. 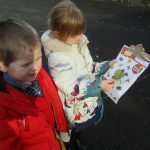 They will receive it on Friday. 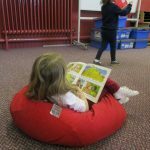 This contains 3 books and a music CD that you can enjoy together. 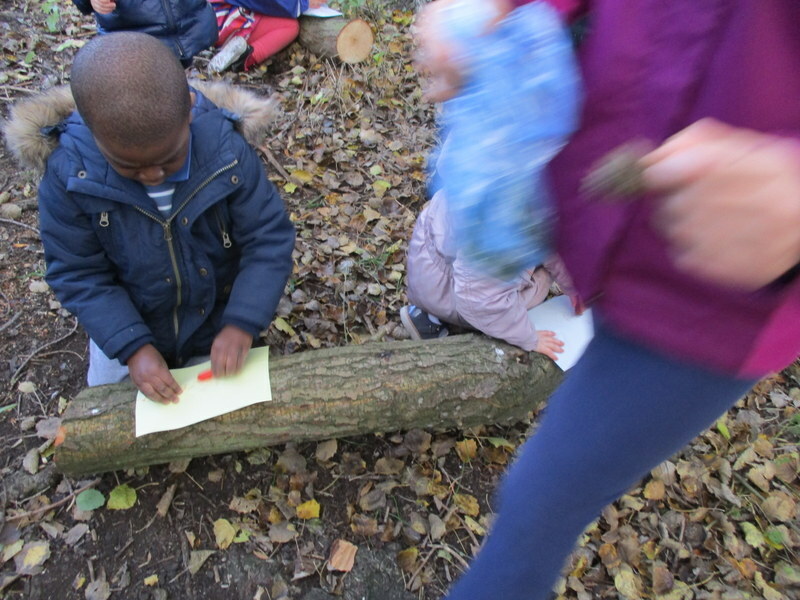 The children in the morning group went out in the woods for a walk. 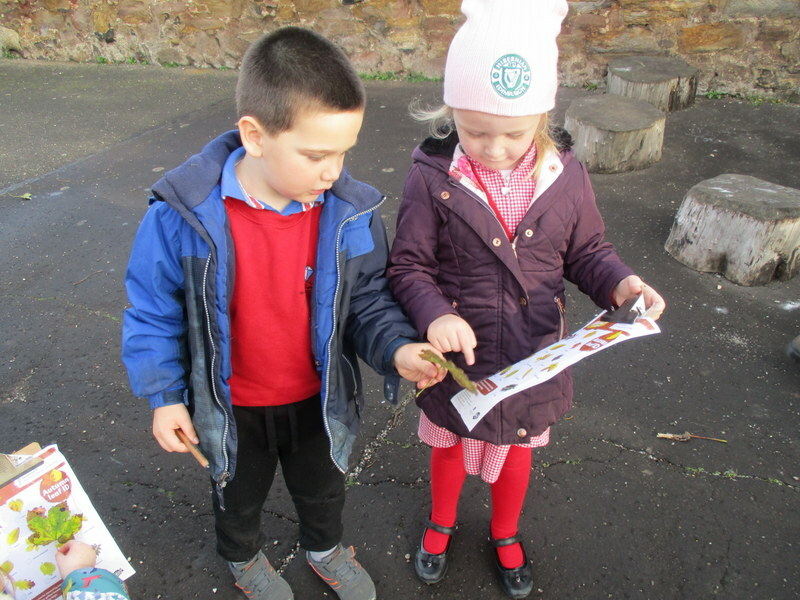 They were given a partner and they were to work and share with them. 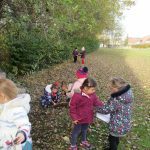 They were looking to see how many different kinds of leaves they could find and when they found a leaf they were to see if they could find it on their sheet. 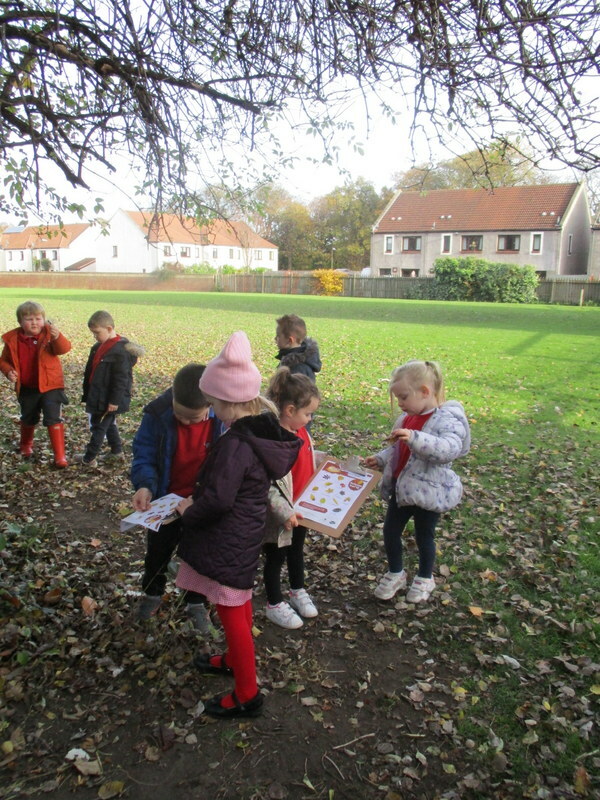 The children loved this activity and they worked very well as part of a team. 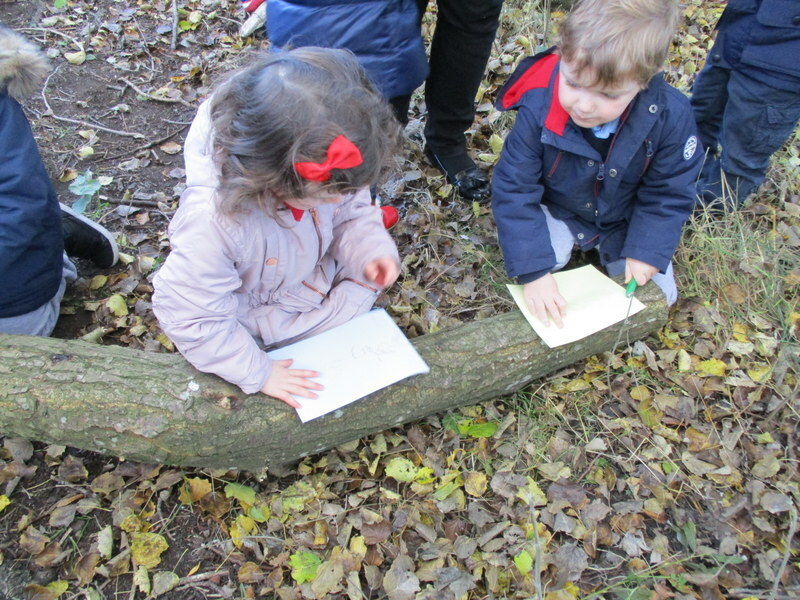 After this they were doing some bark rubbings. 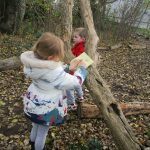 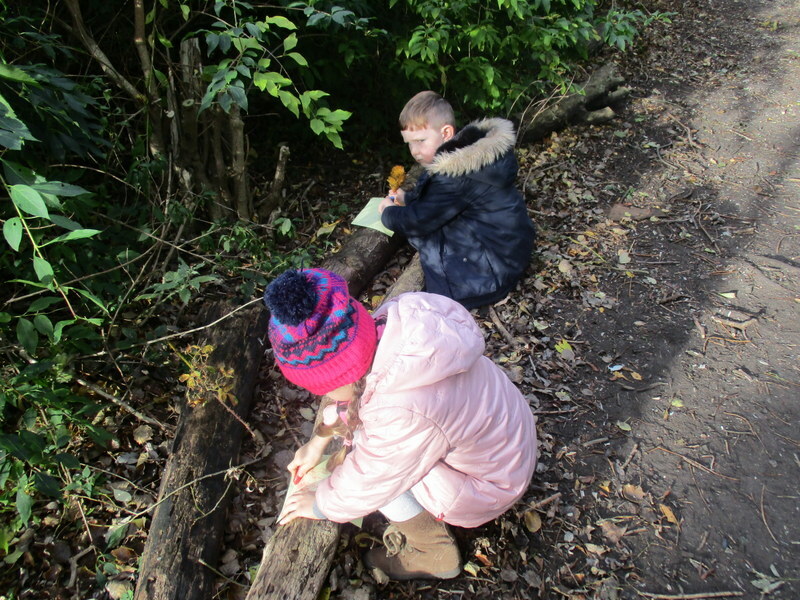 The children love going into the woods to explore nature. 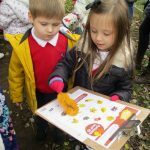 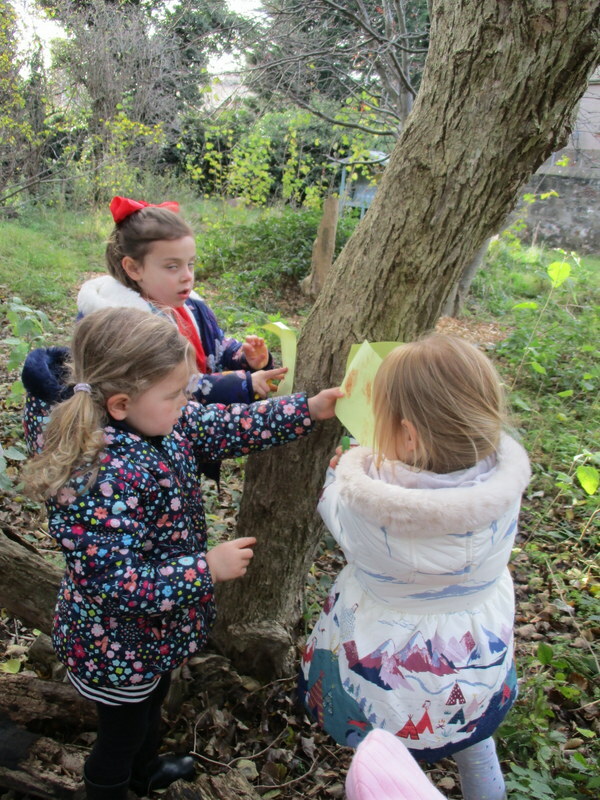 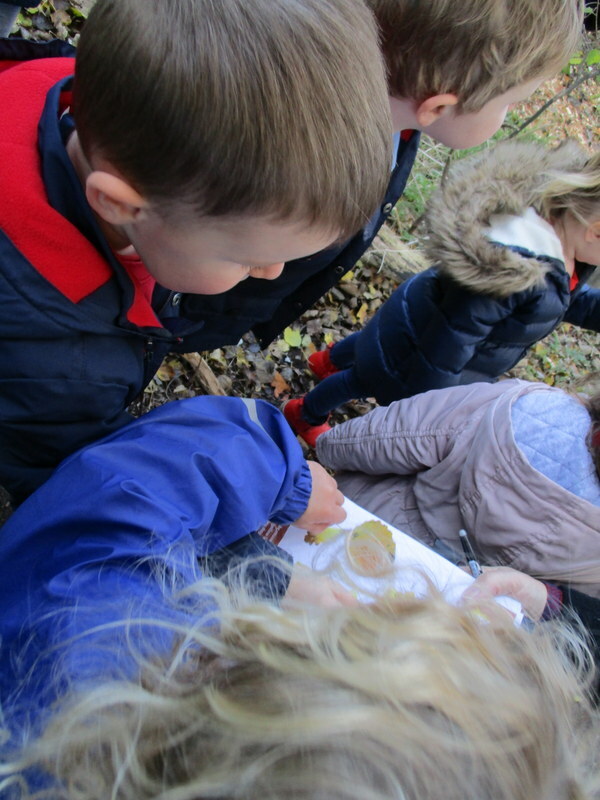 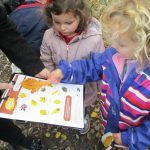 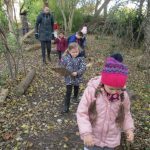 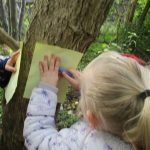 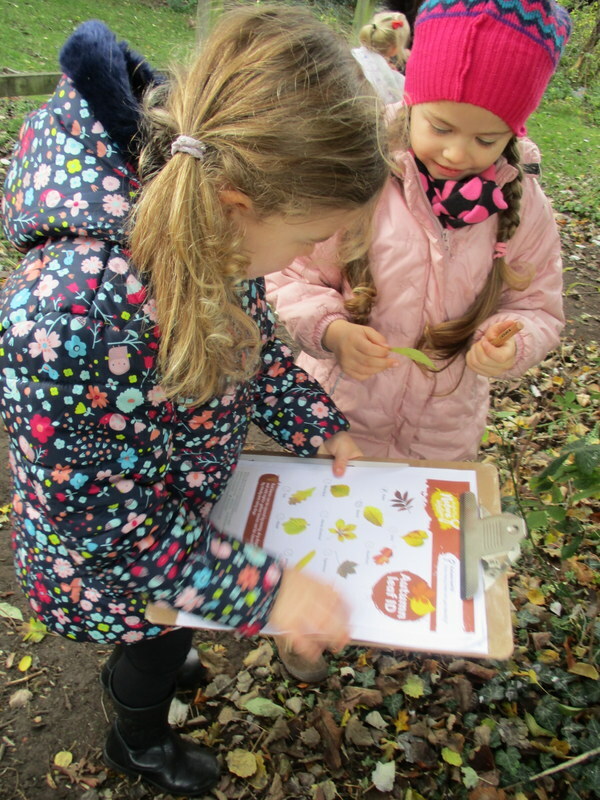 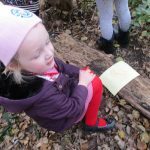 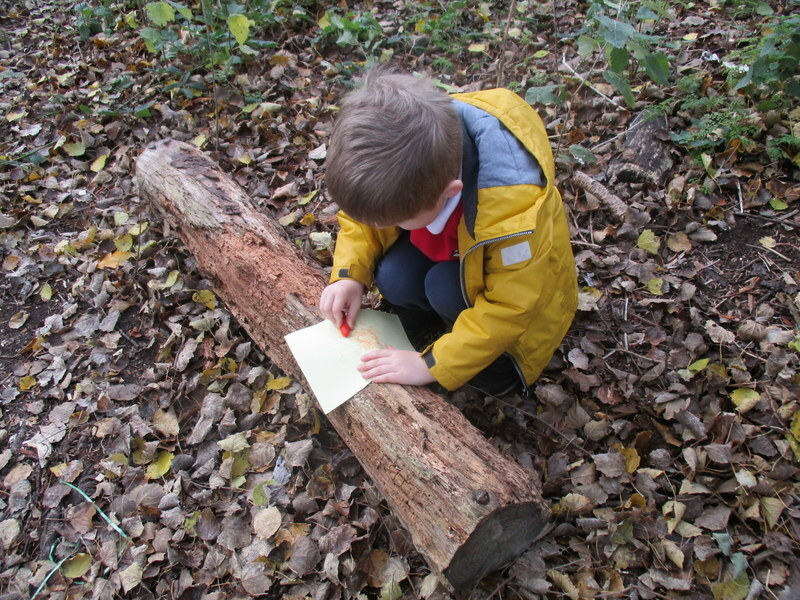 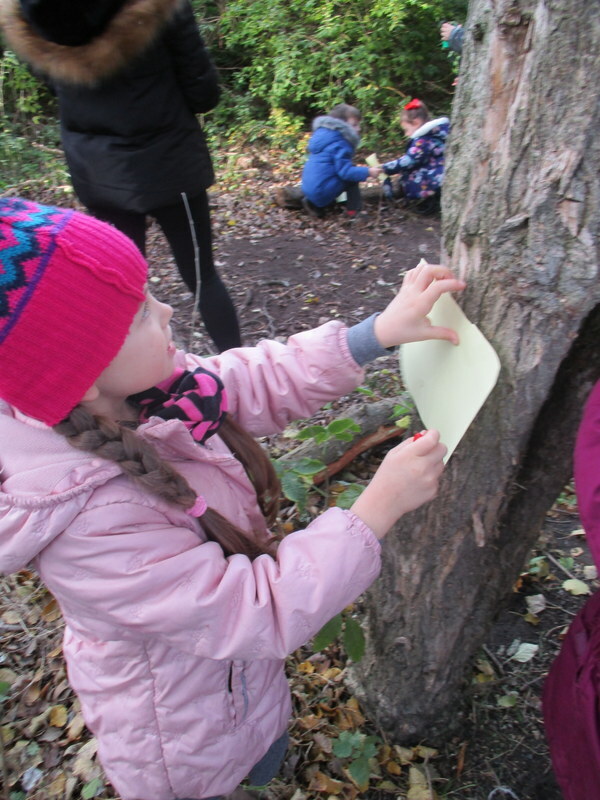 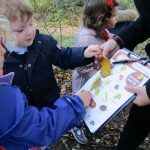 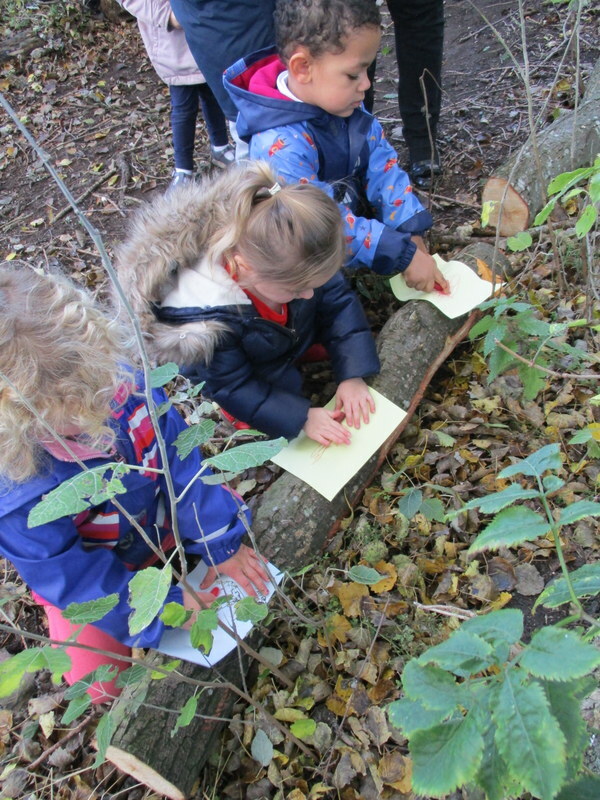 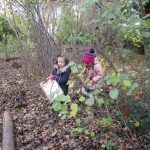 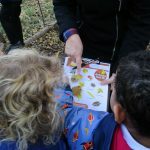 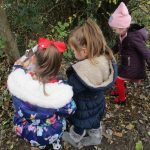 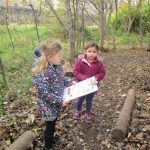 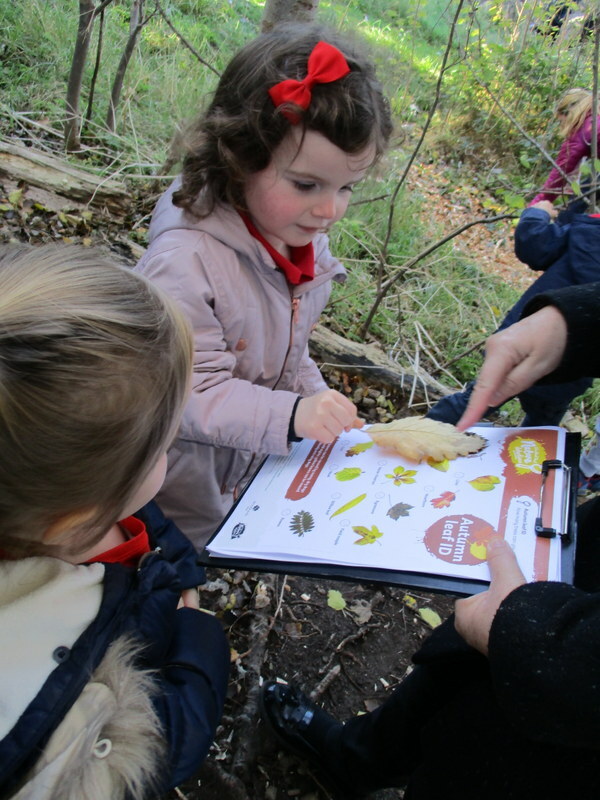 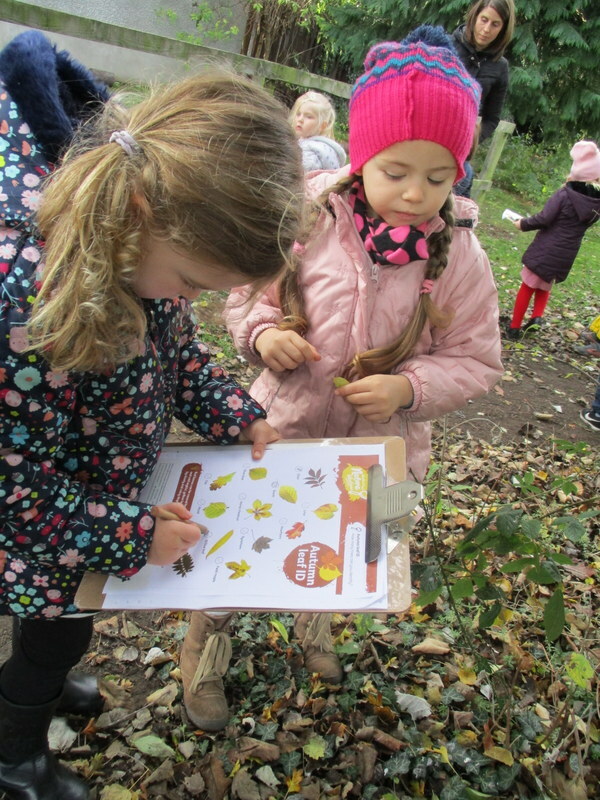 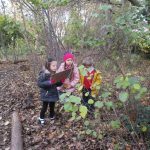 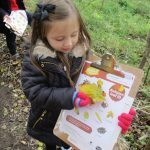 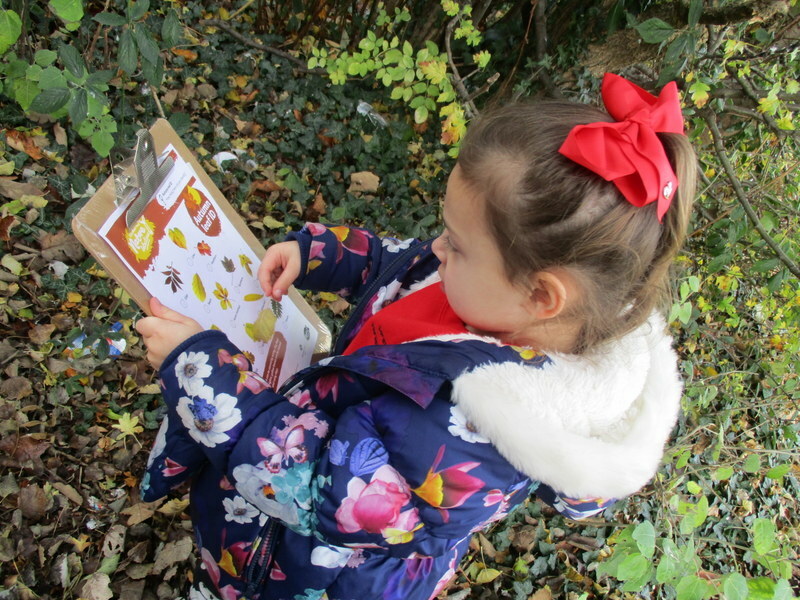 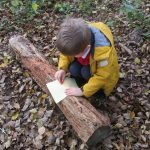 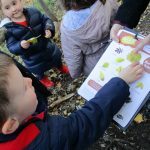 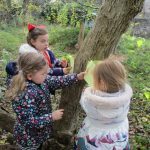 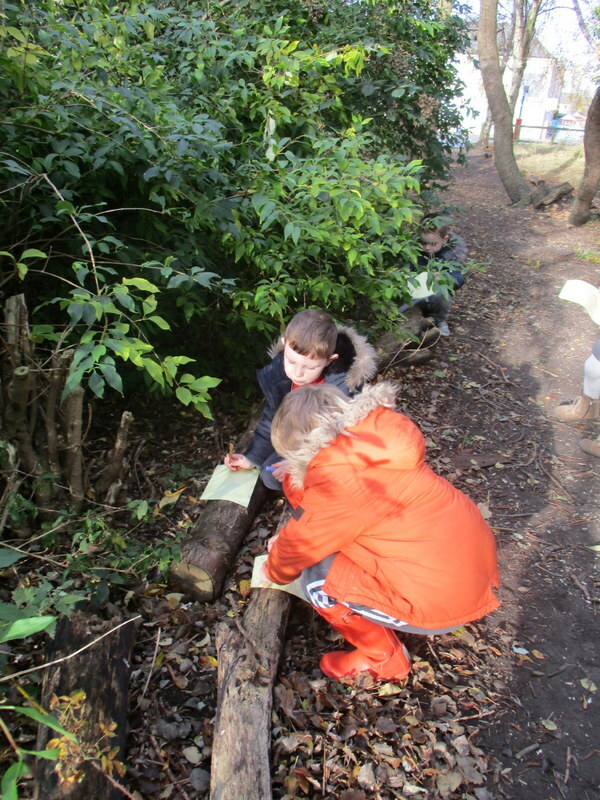 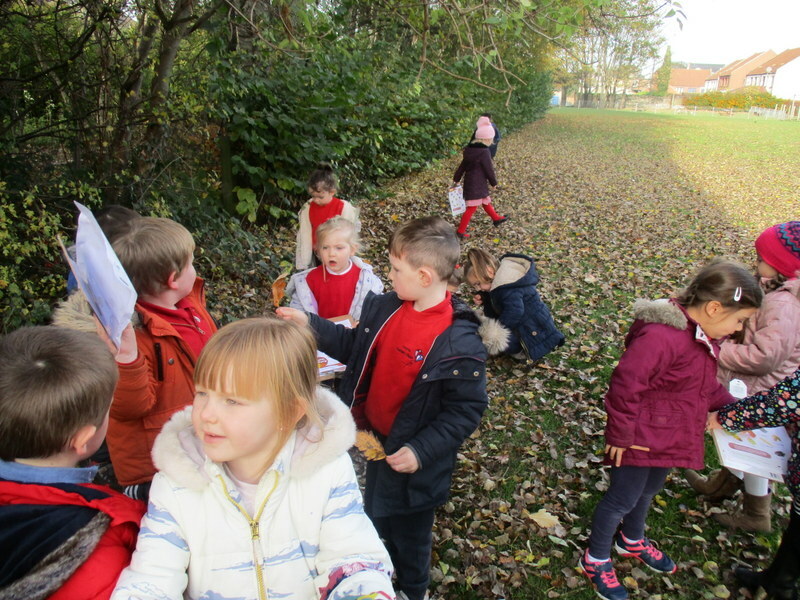 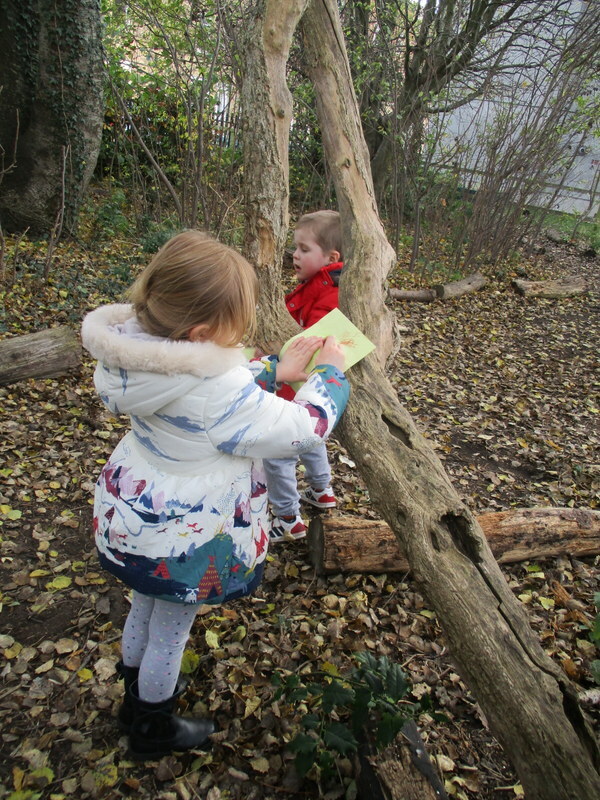 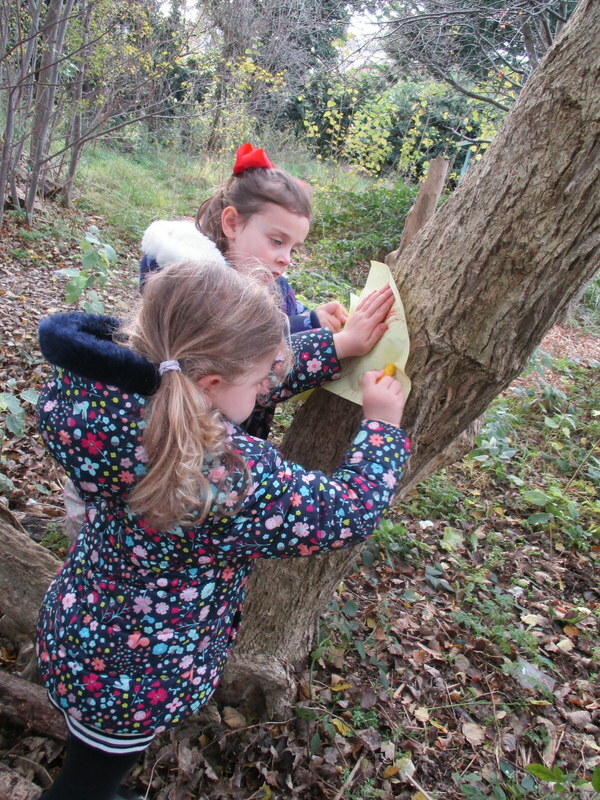 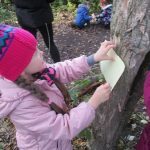 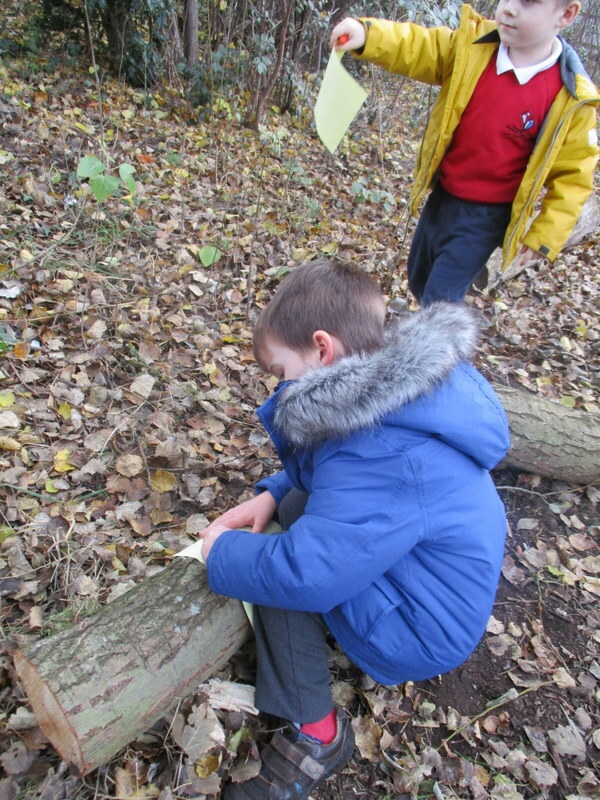 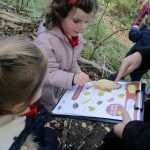 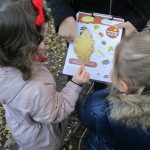 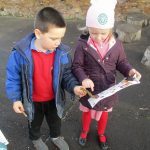 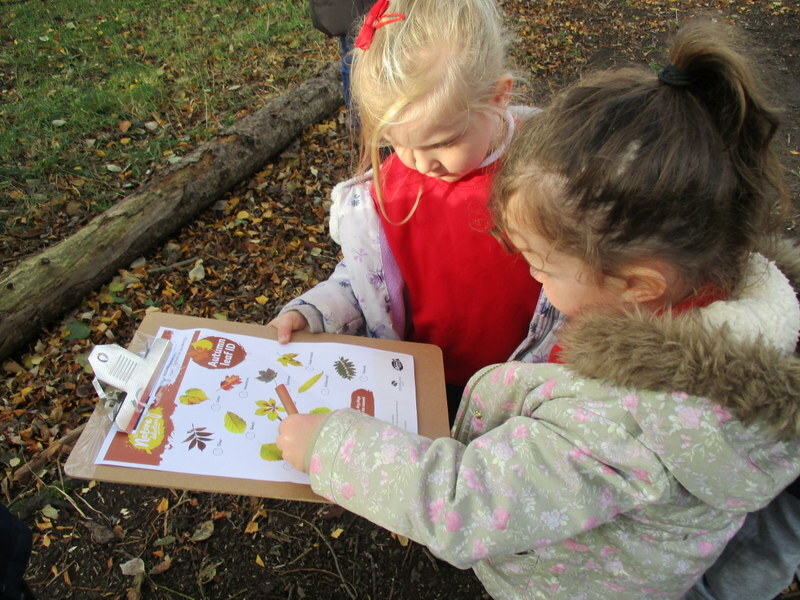 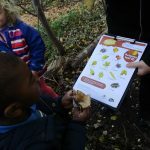 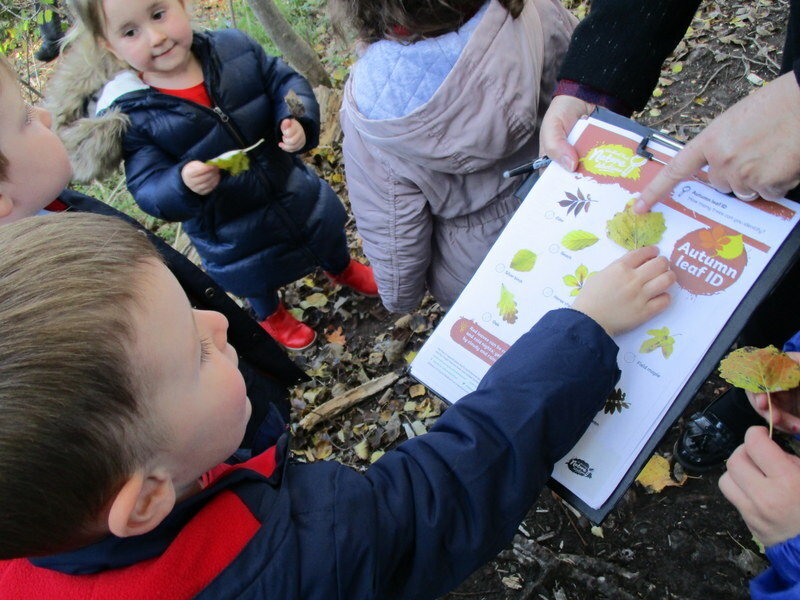 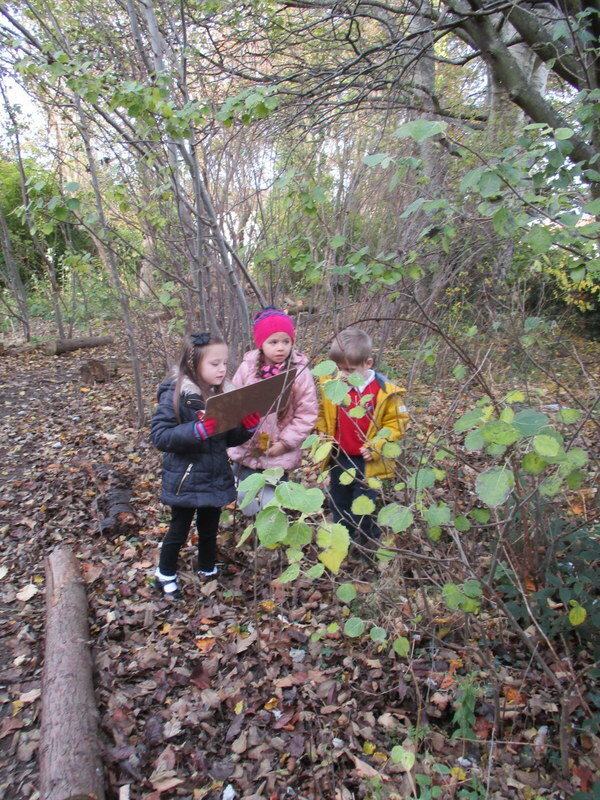 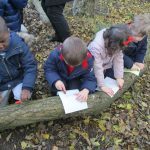 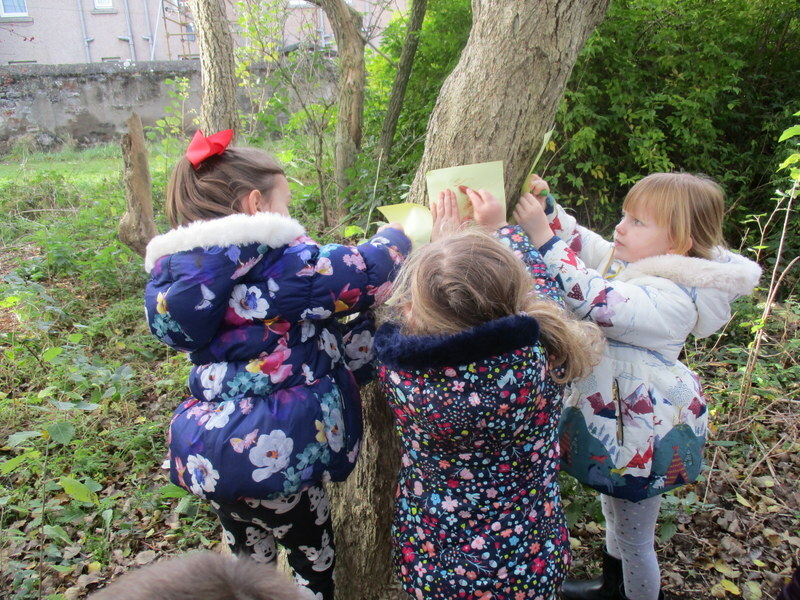 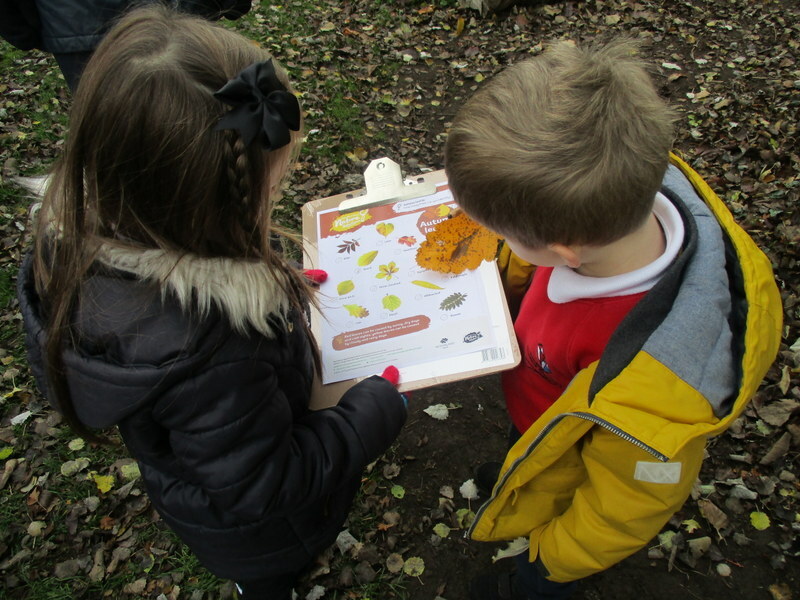 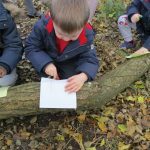 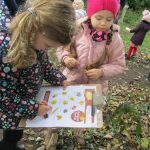 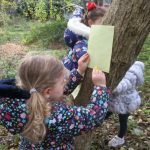 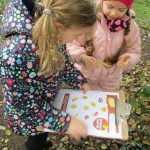 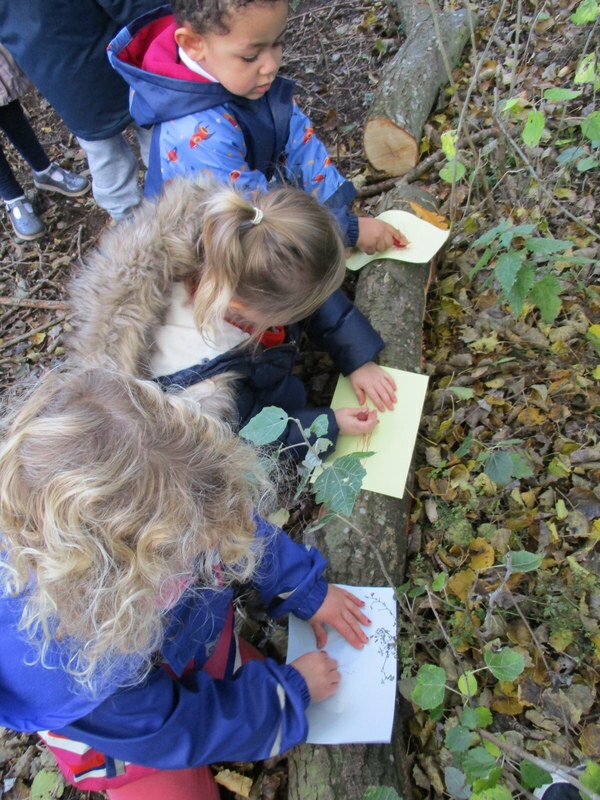 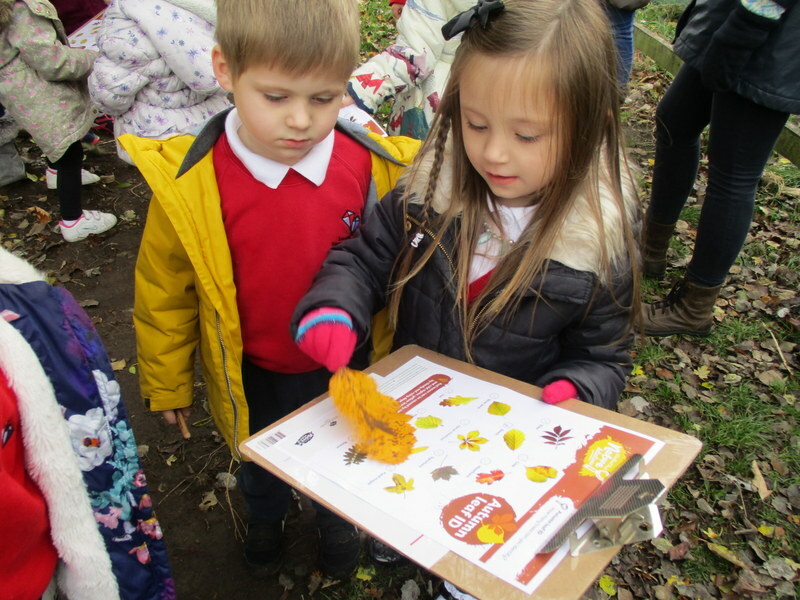 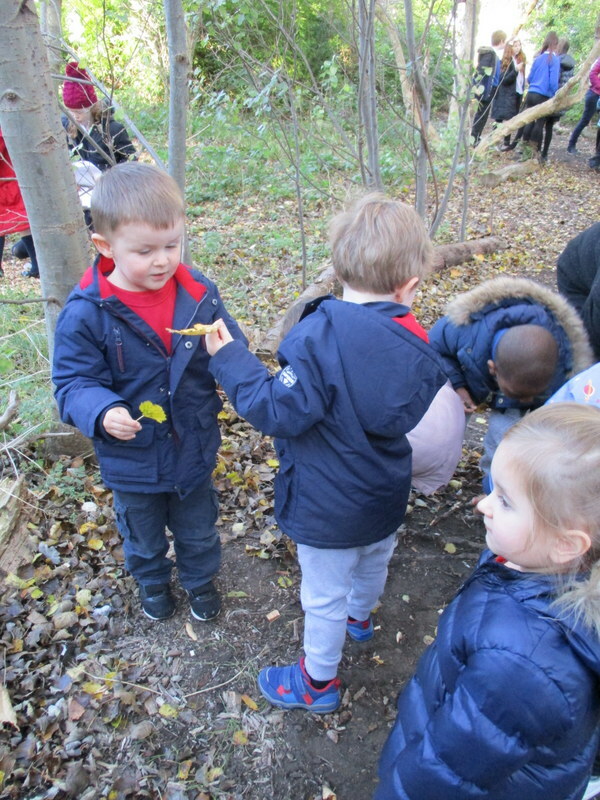 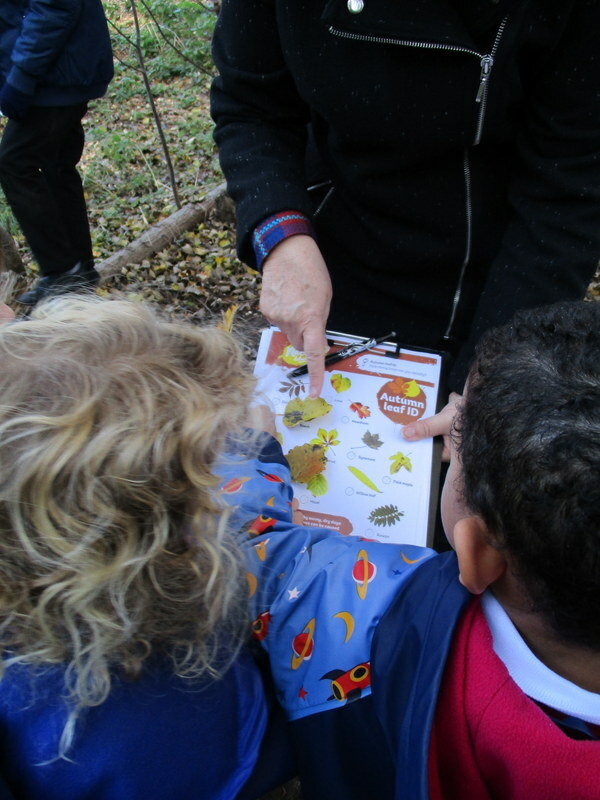 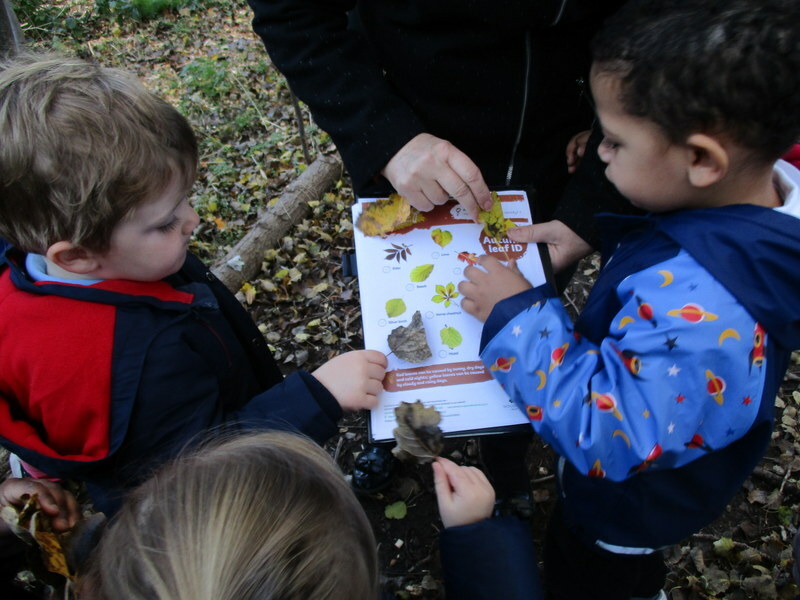 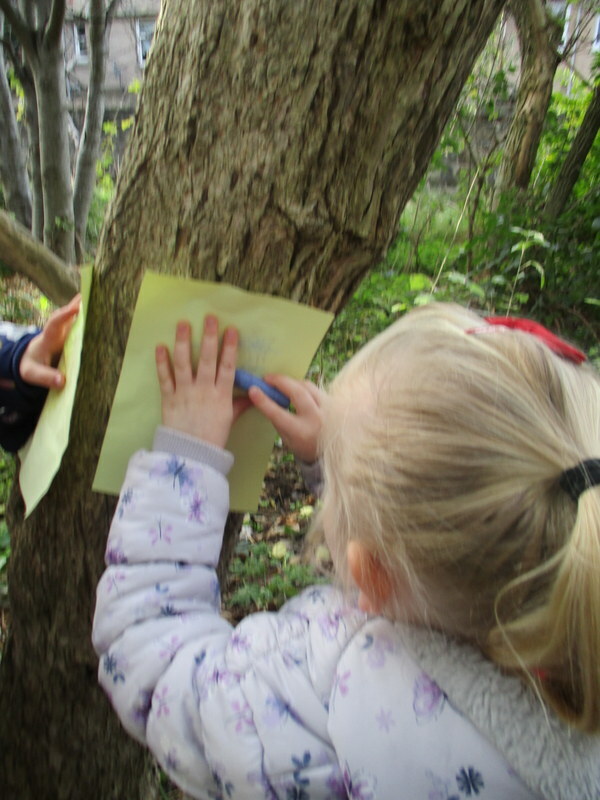 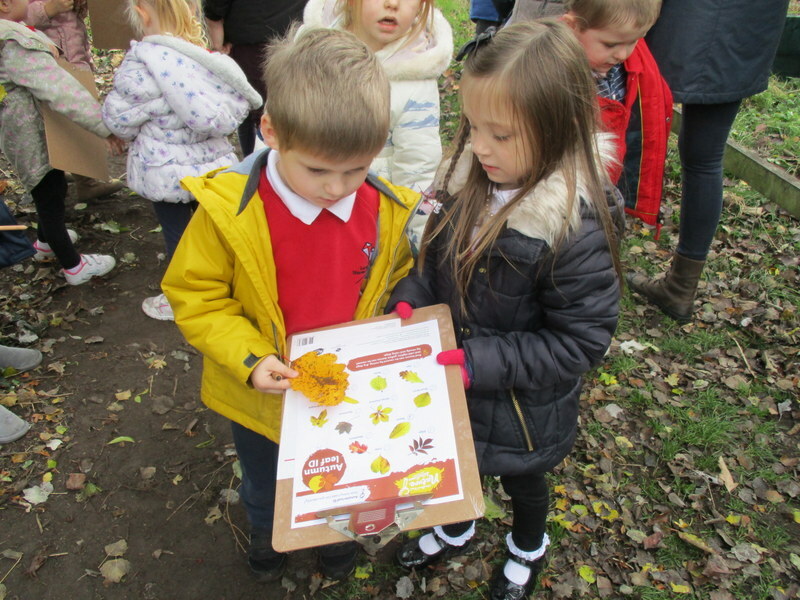 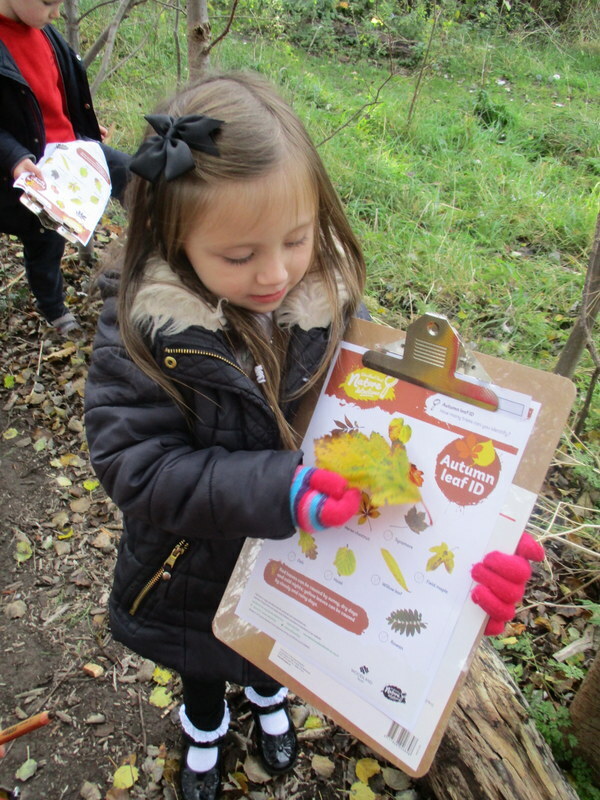 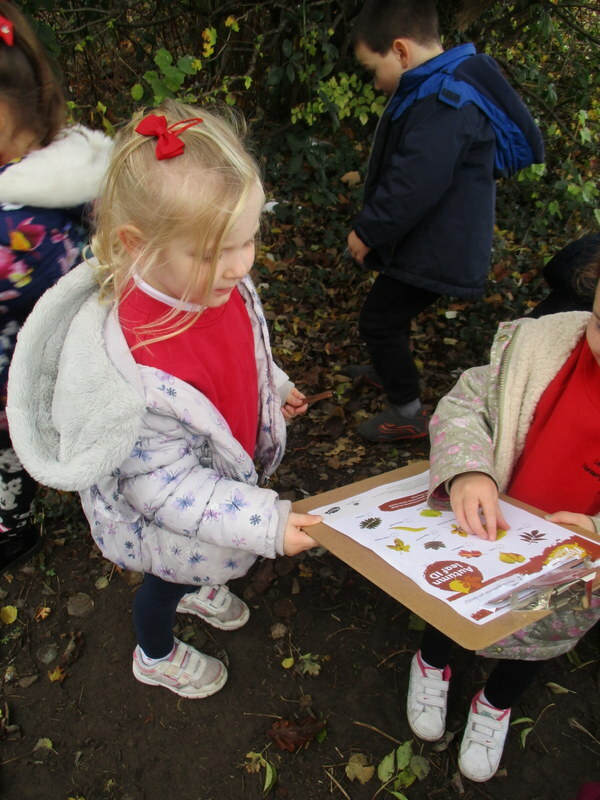 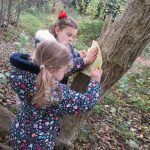 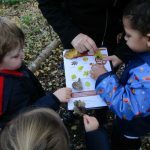 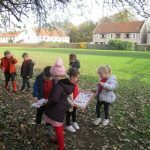 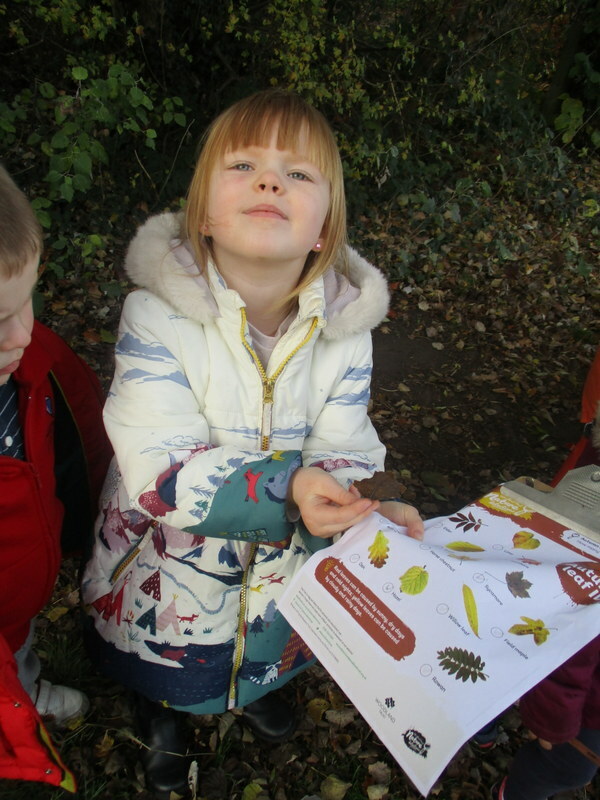 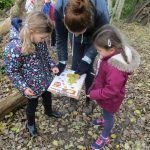 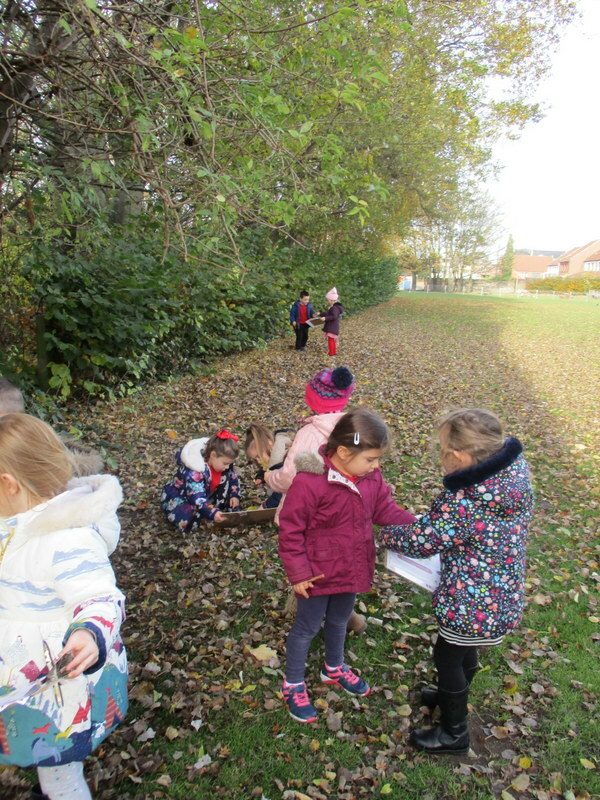 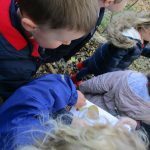 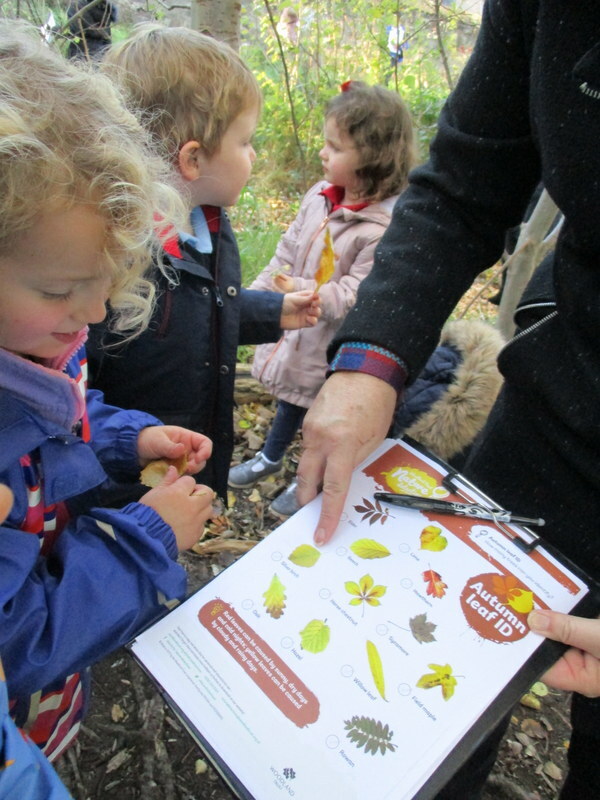 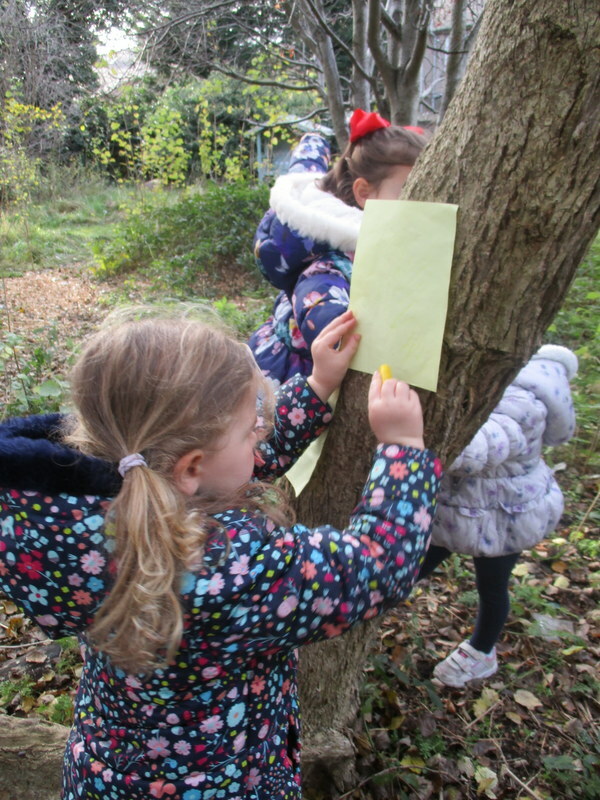 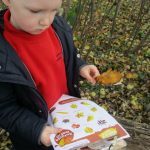 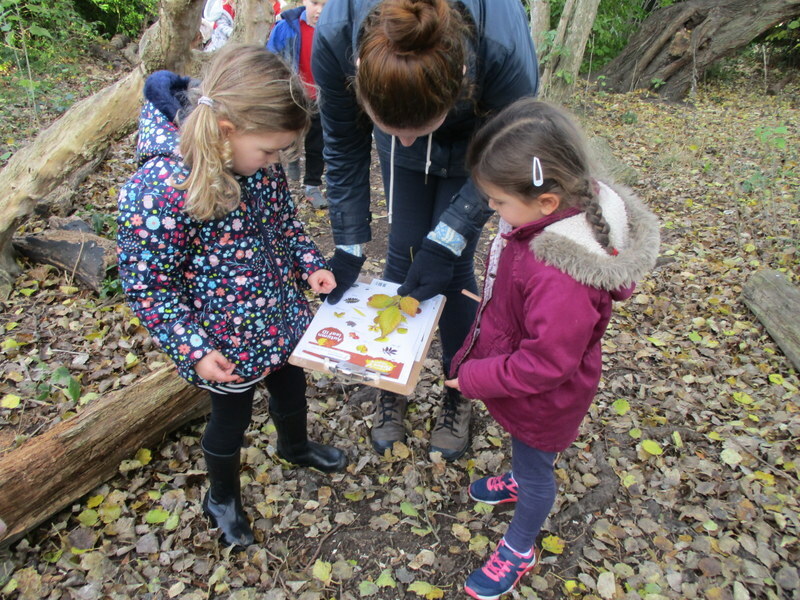 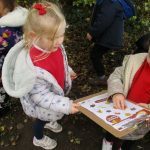 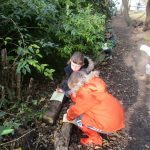 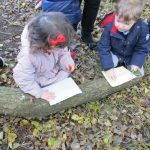 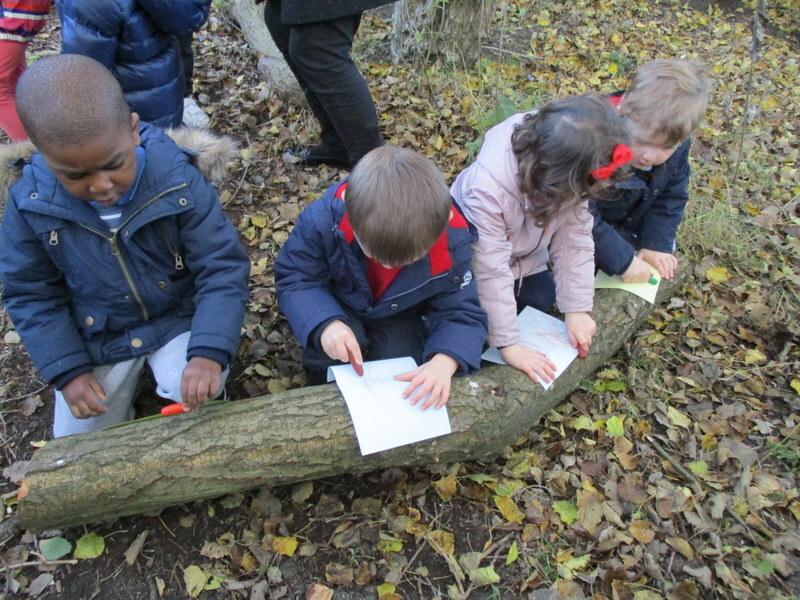 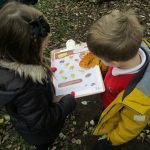 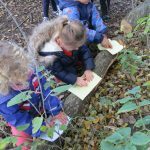 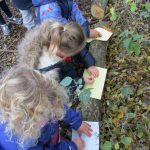 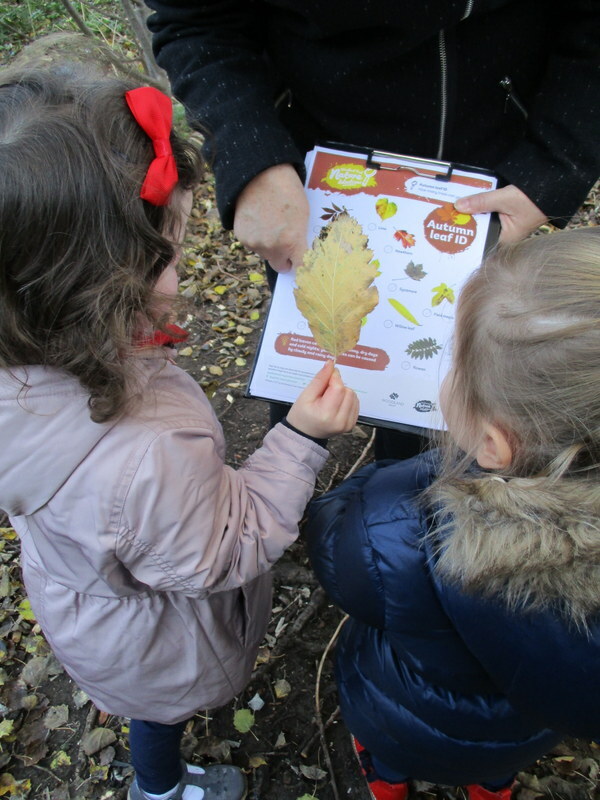 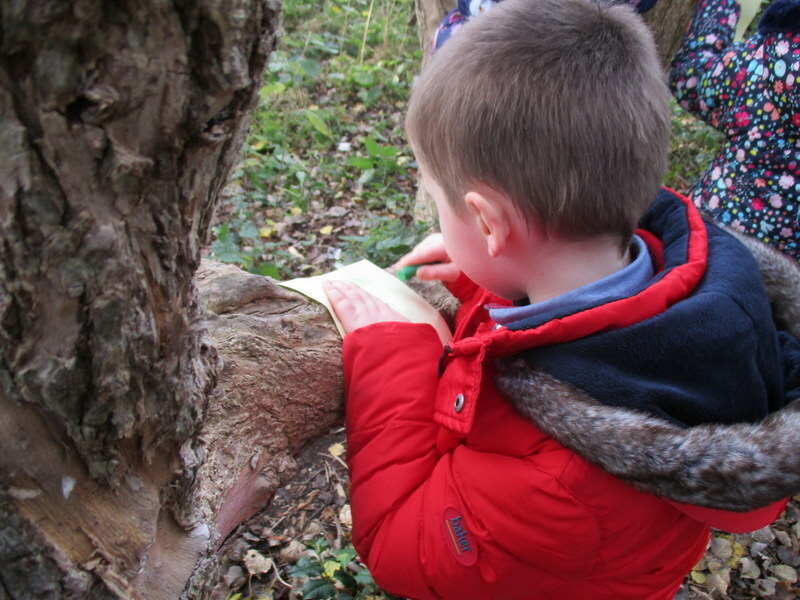 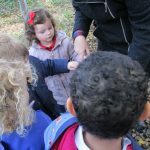 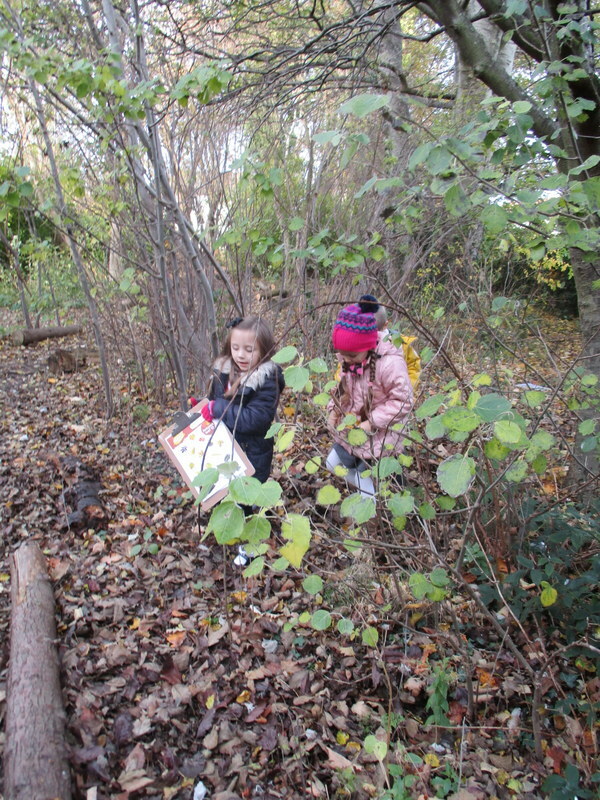 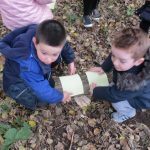 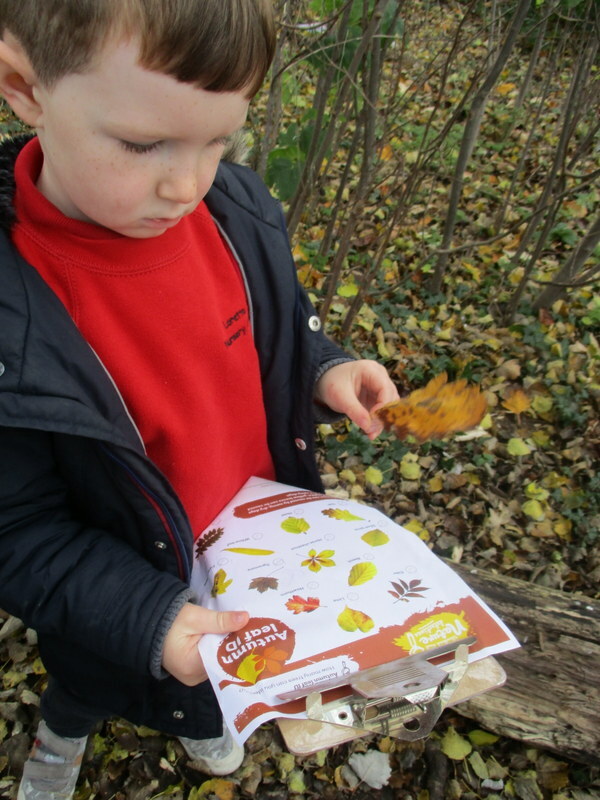 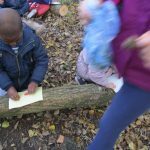 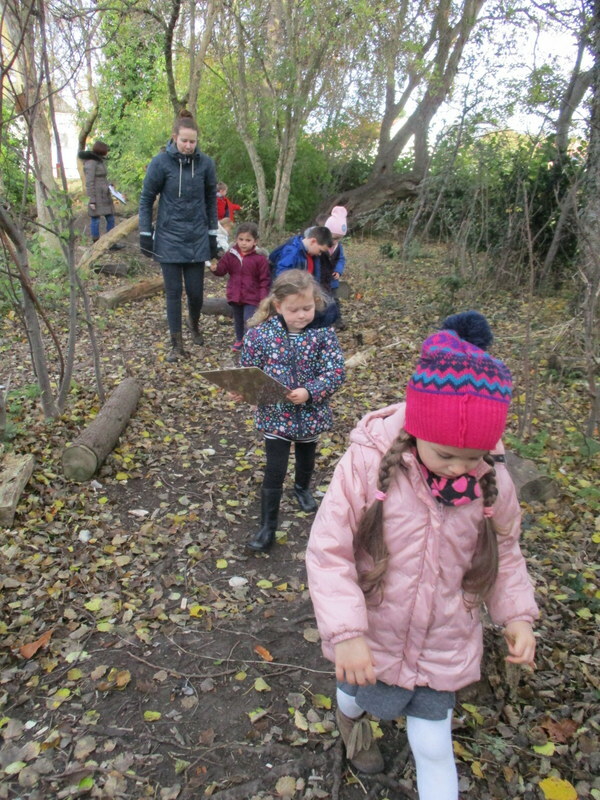 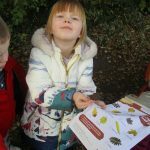 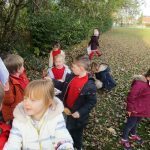 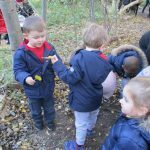 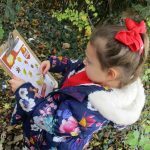 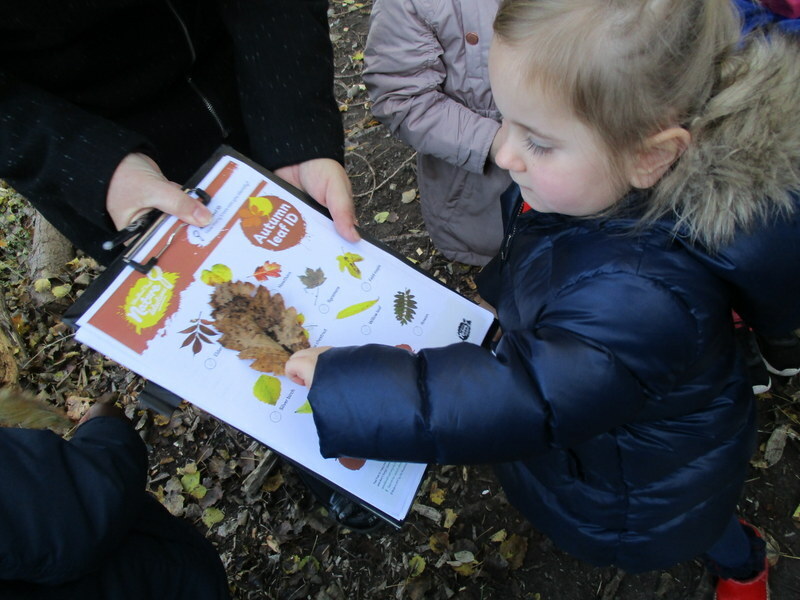 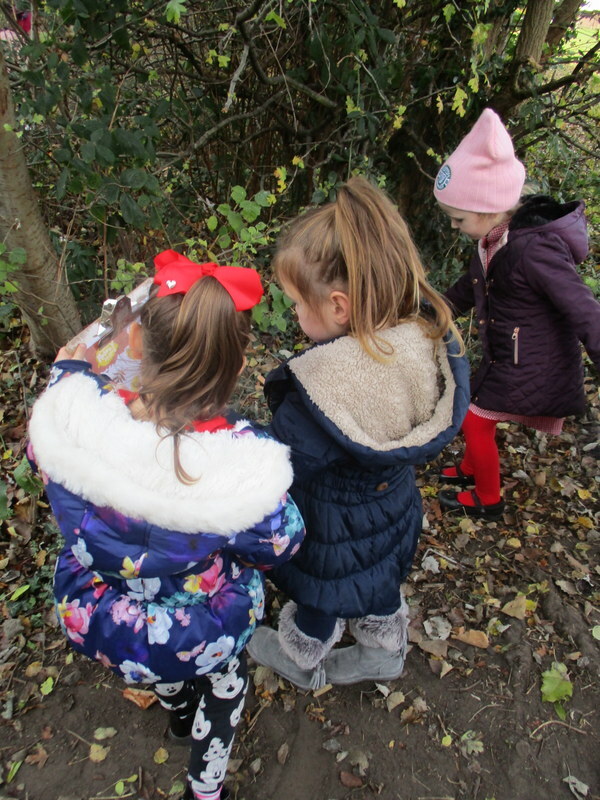 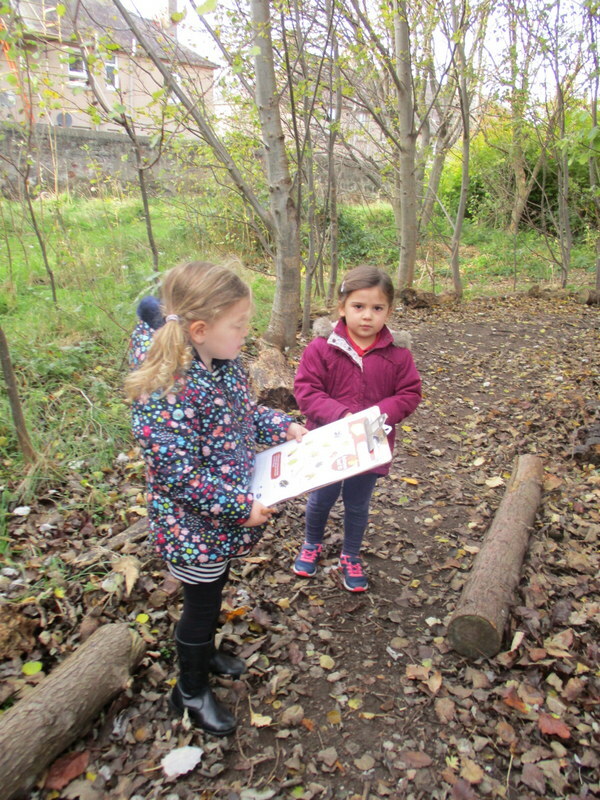 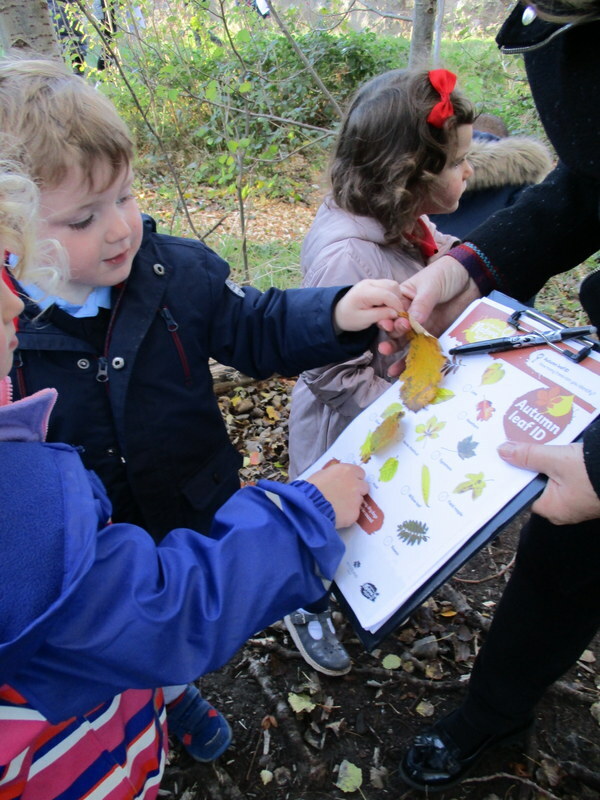 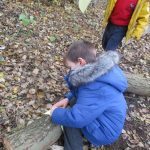 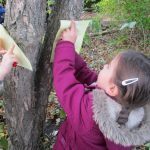 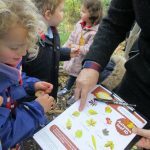 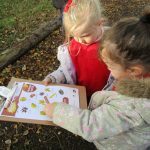 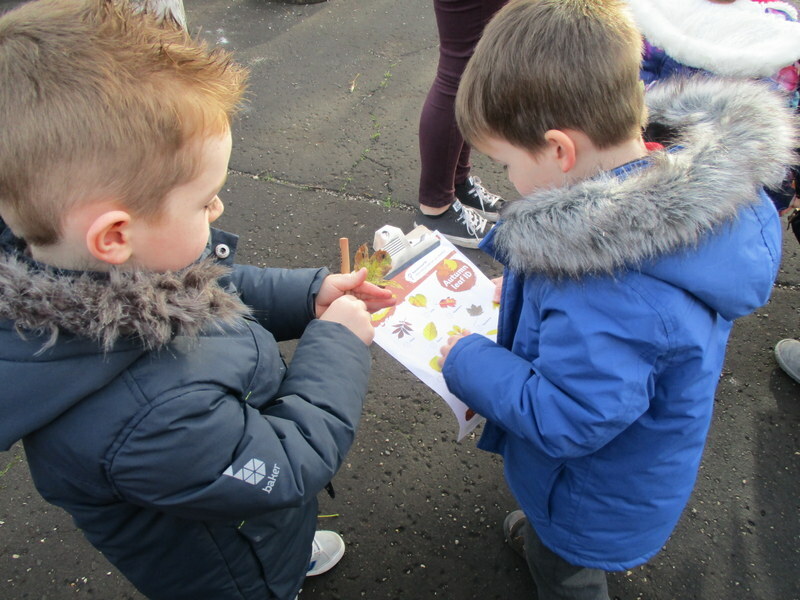 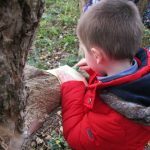 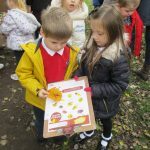 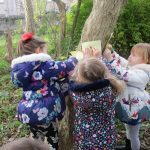 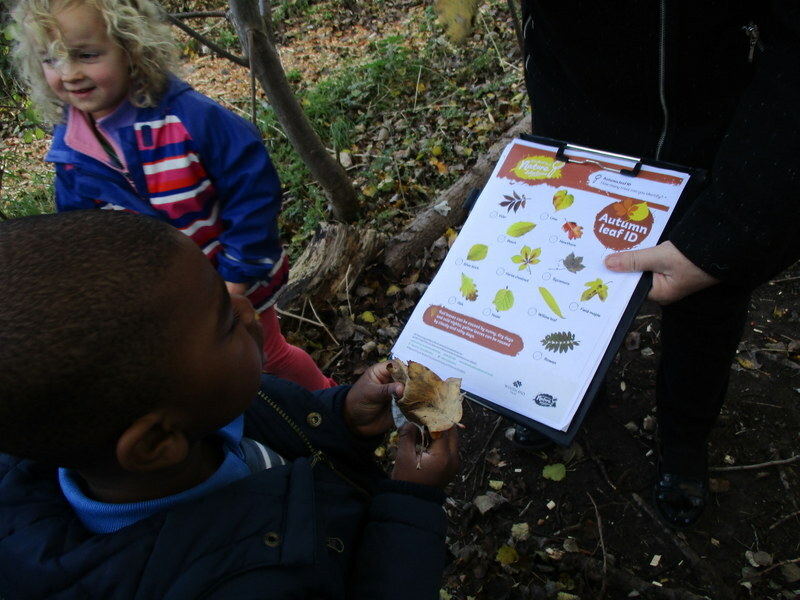 On Friday the children went out into the woods to be Nature detectives. 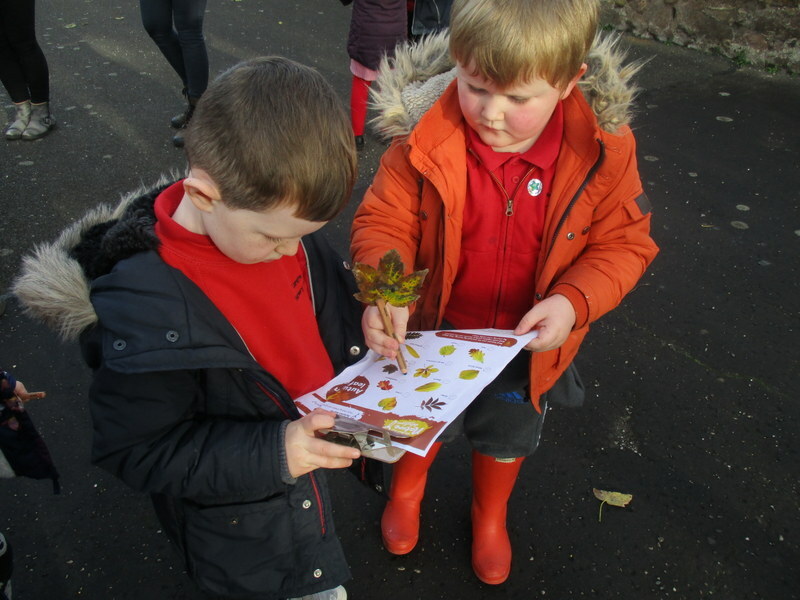 We looked for leaves and checked if they were on our list. 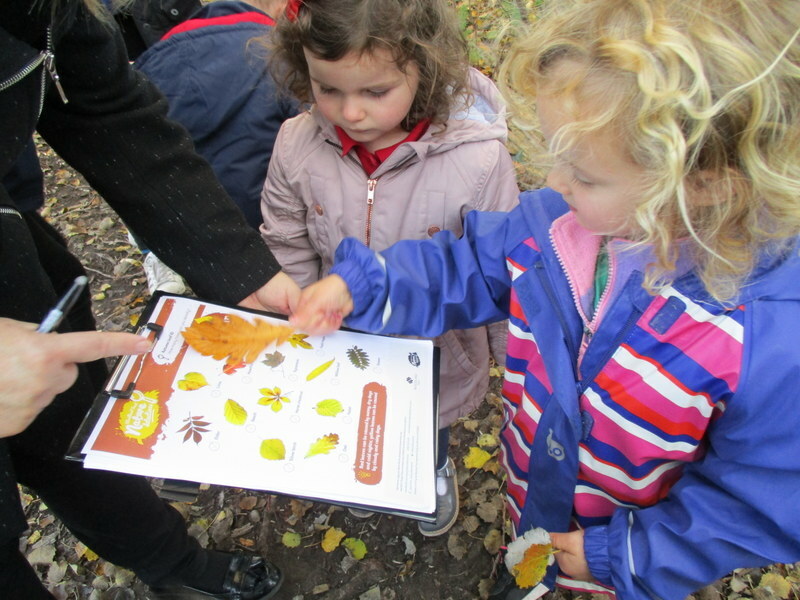 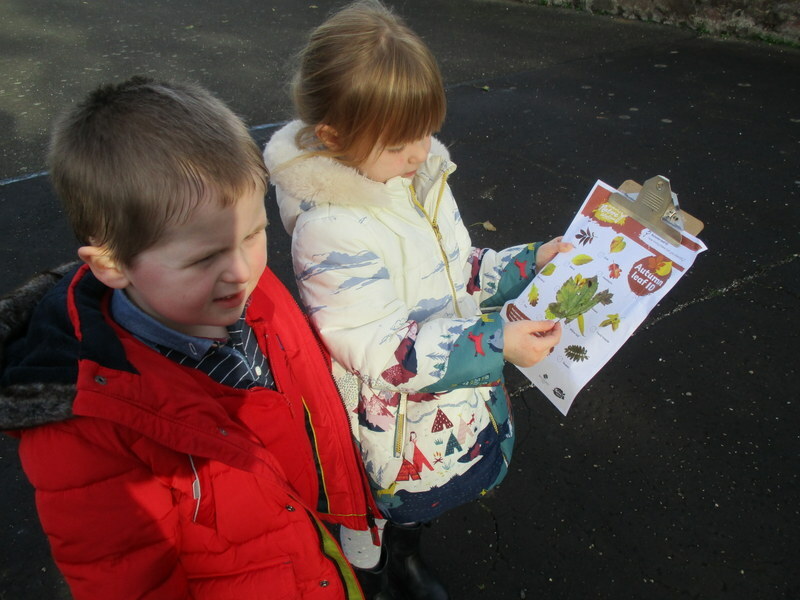 We looked to see how many different kinds of leaves we could find. 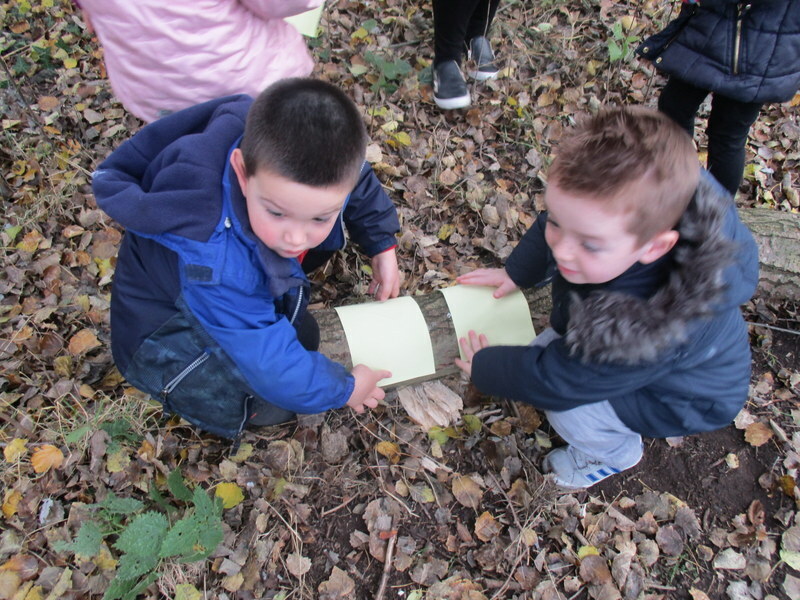 After we did some bark rubbing this was good fun.